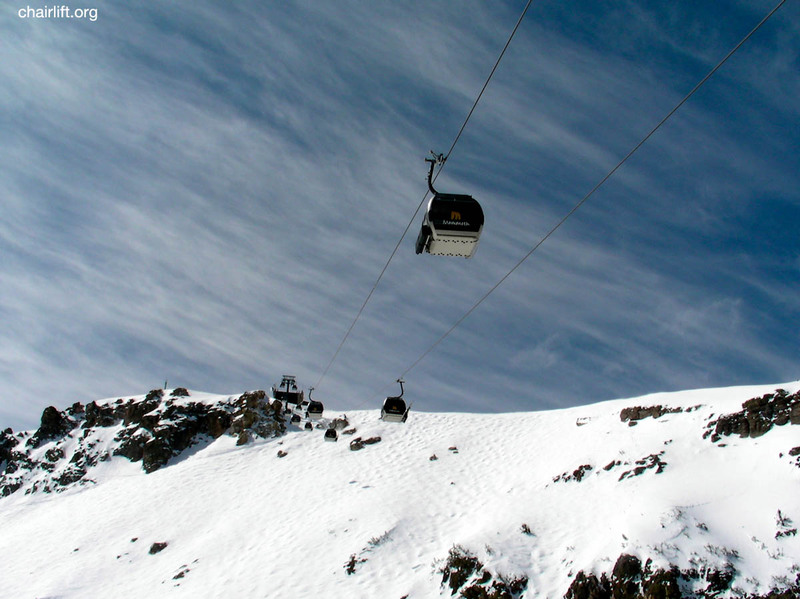 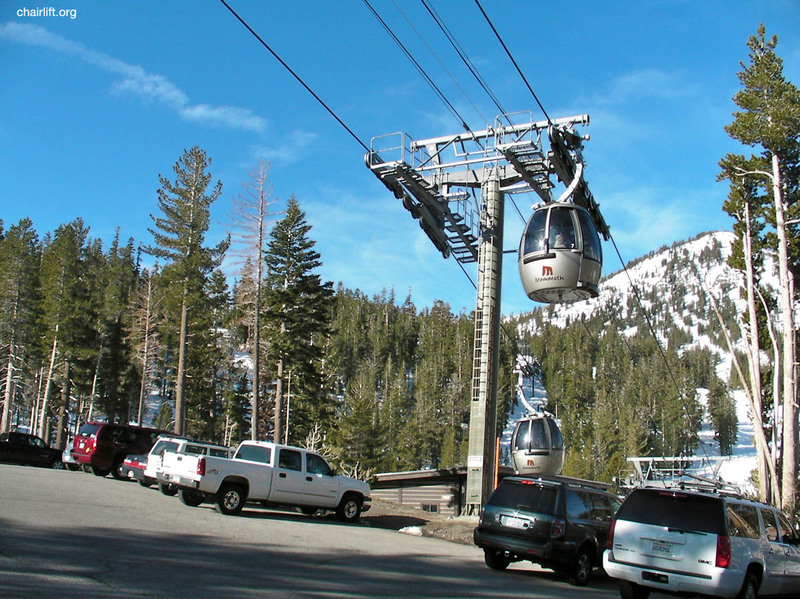 VILLAGE GONDOLA (DOPPELMAYR) - Built in 2003 the gondola feature 15 passenger CWA cabins. 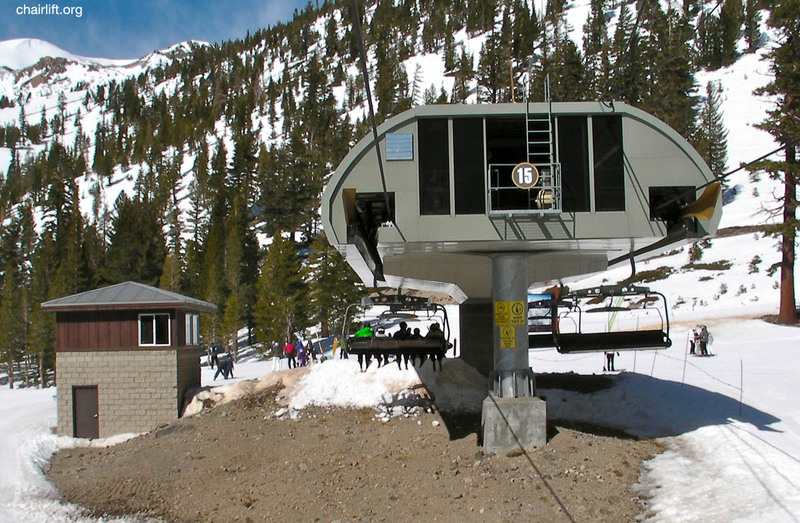 even the operator shack is on a pully. 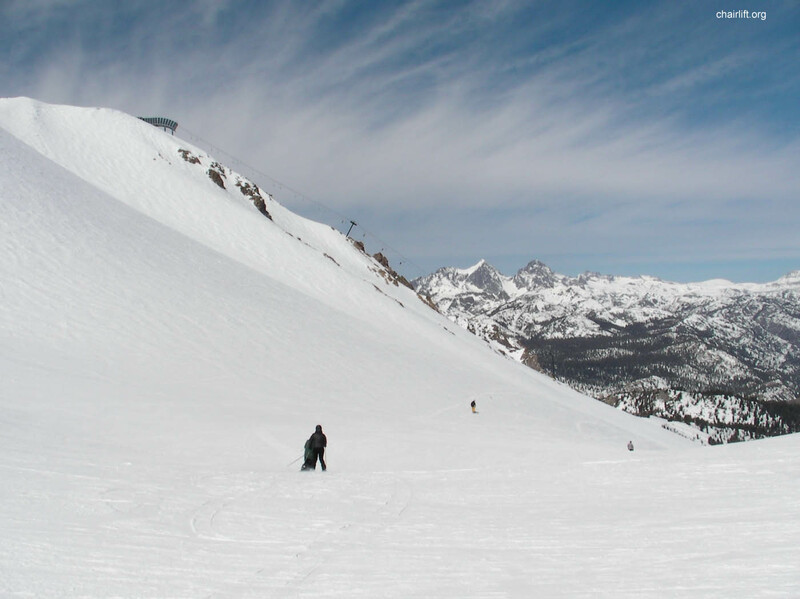 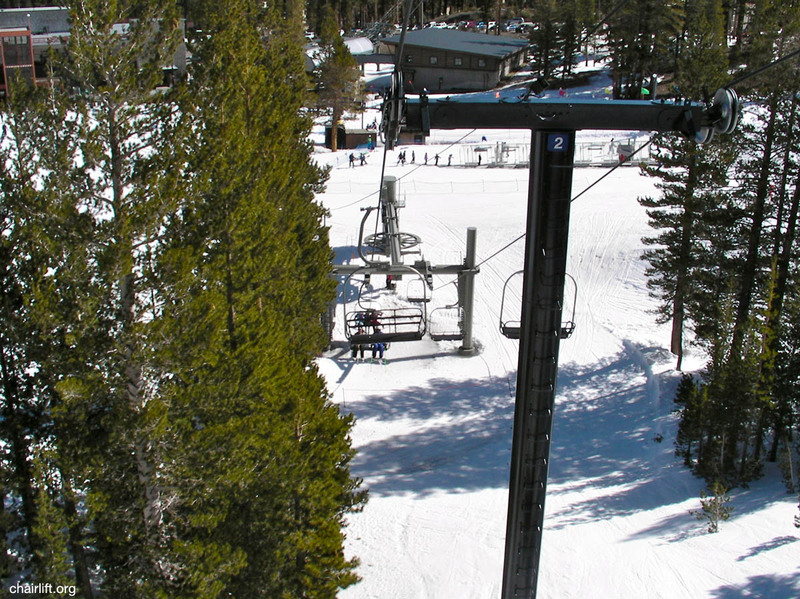 Chair 2 at Mammoth, a Yan fixed grip quad from 1985. 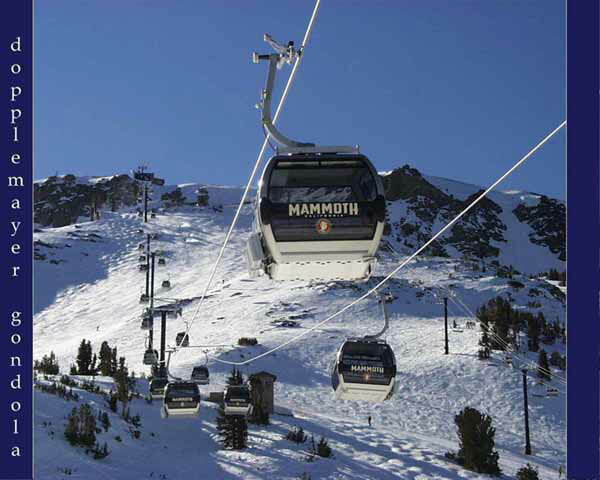 (4) ROLLER COASTER EXPRESS (DOPPELMAYR) - Built in 1997 to replace the orignal Riblet "Chair 4". 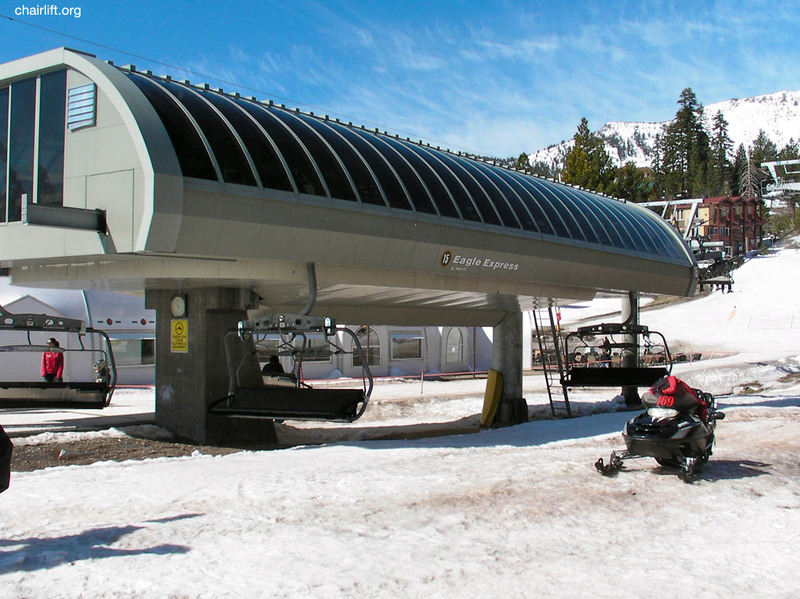 (5) HIGH FIVE EXPRESS (DOPPELMAYR/CTEC) - Built in 2011 to replace the former Yan triple "Chair 5". 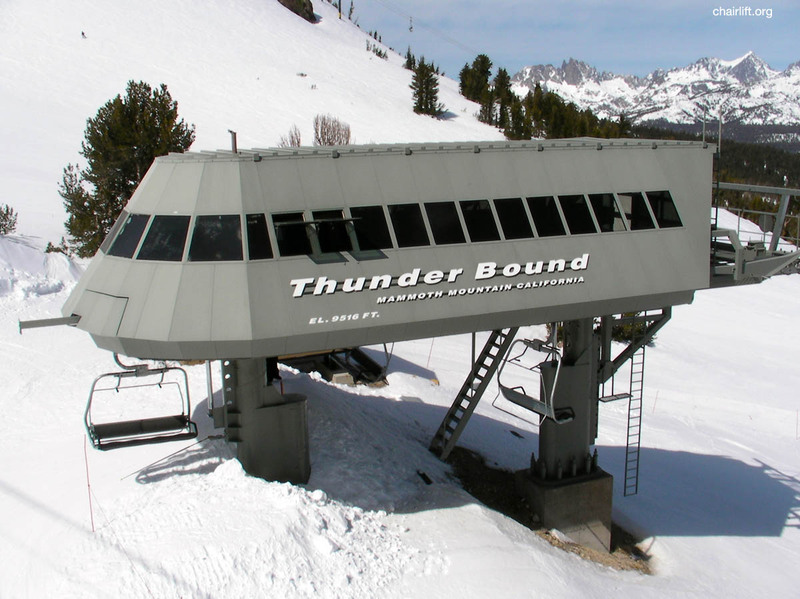 (6) THUNDER BOUND EXPRESS (DOPPELMAYR) - Built in 1997 to replace Chair 6.
through the years and is currently a triple with Doppelmayr grips, hanger arms and sheaves. 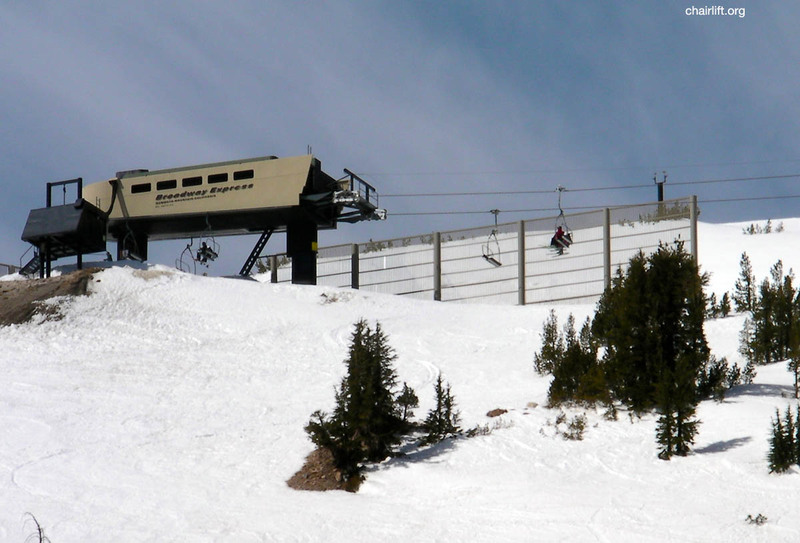 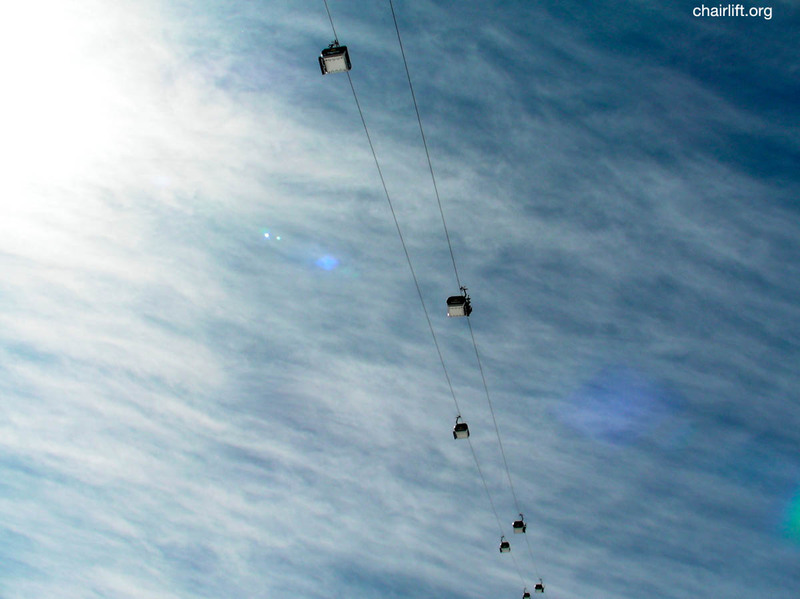 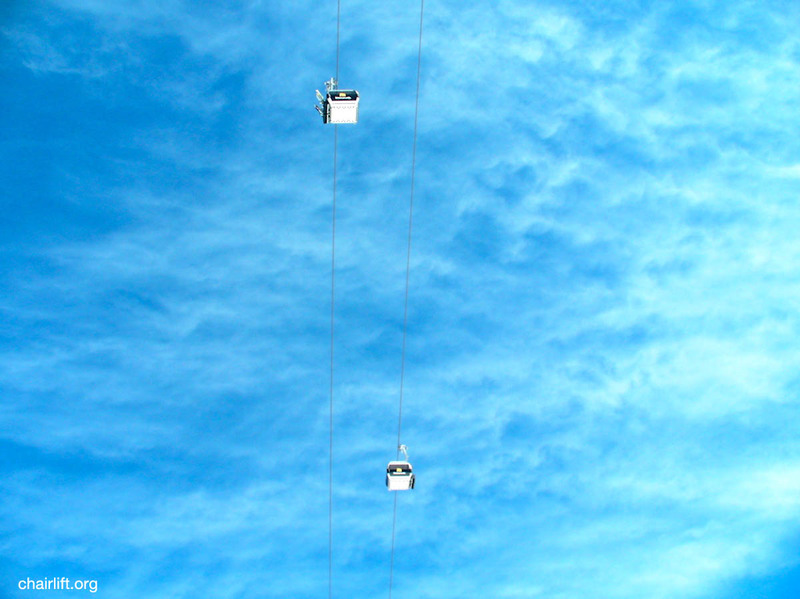 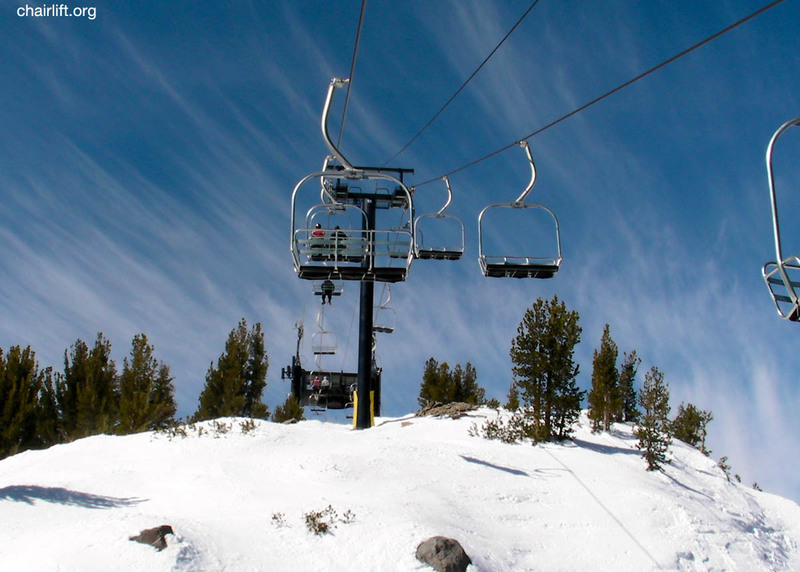 (9) CLOUD NINE EXPRESS (DOPPELMAYR/CTEC) - Built in 2007 this 6-pack replaced the 1969 Yan double "chair 9." 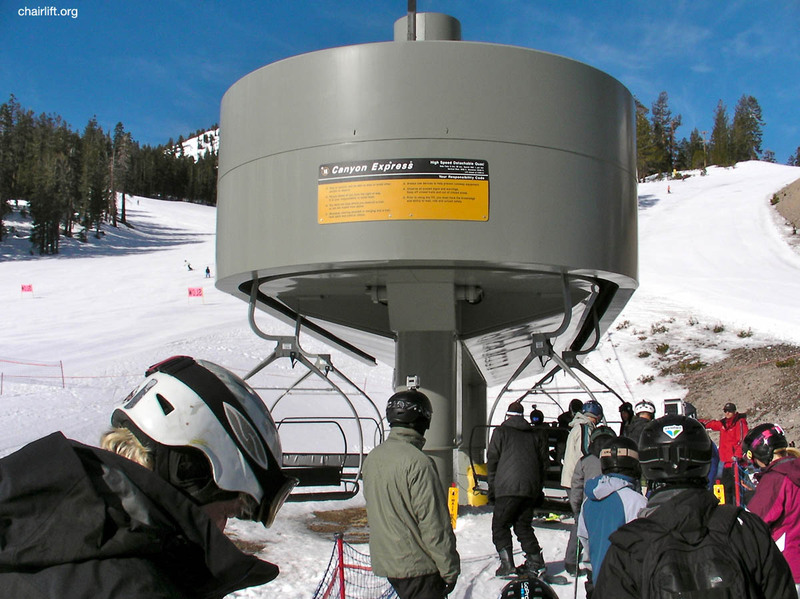 (10) GOLD RUSH EXPRESS (DOPPELMAYR) - Built in 1998 to replace Chair 10. 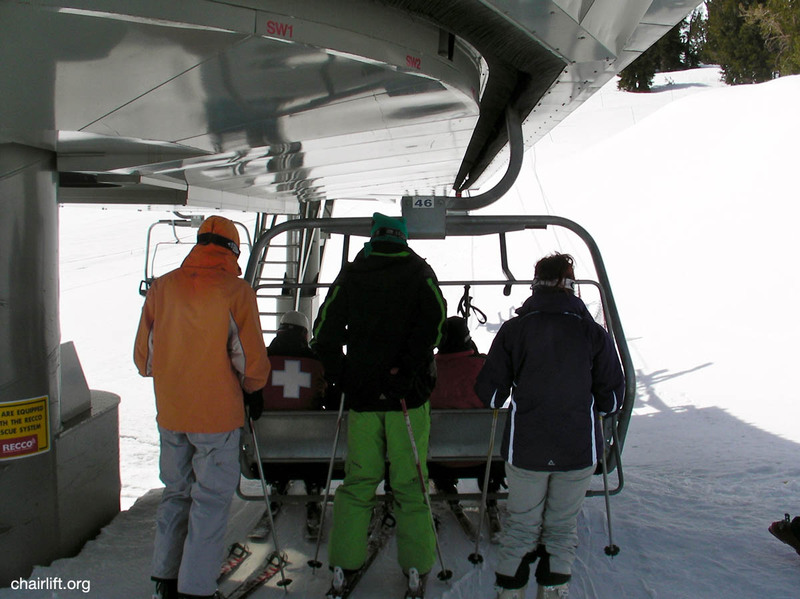 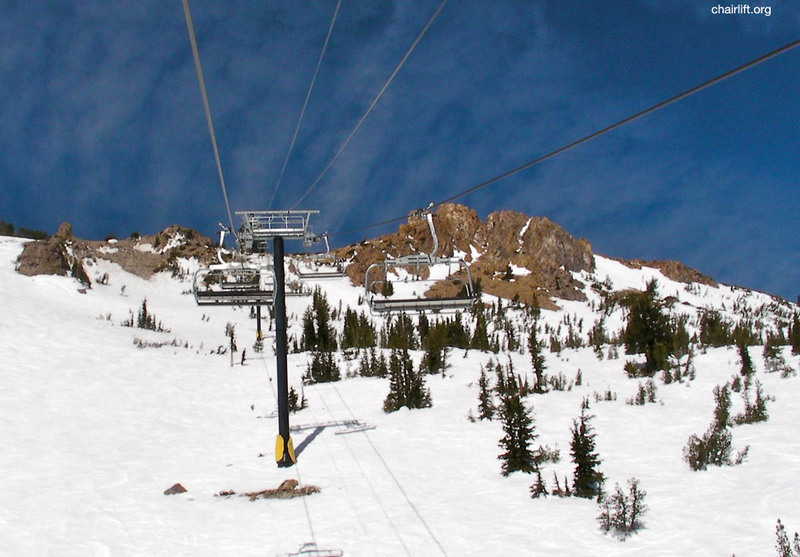 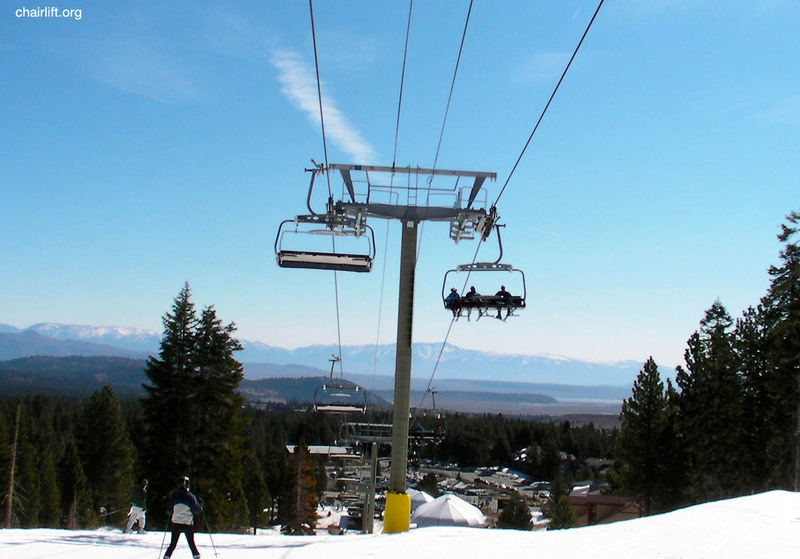 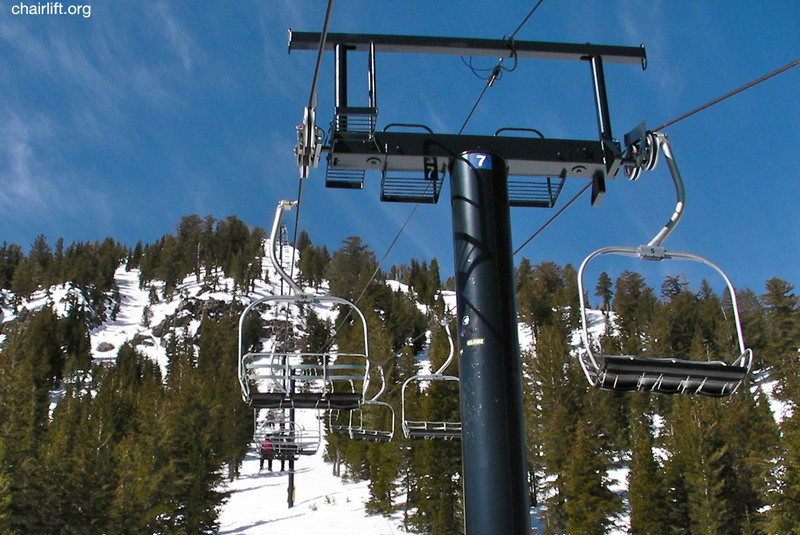 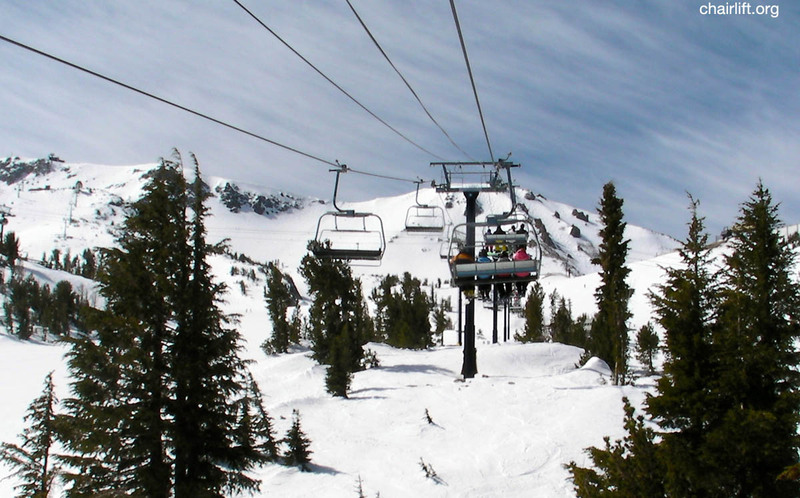 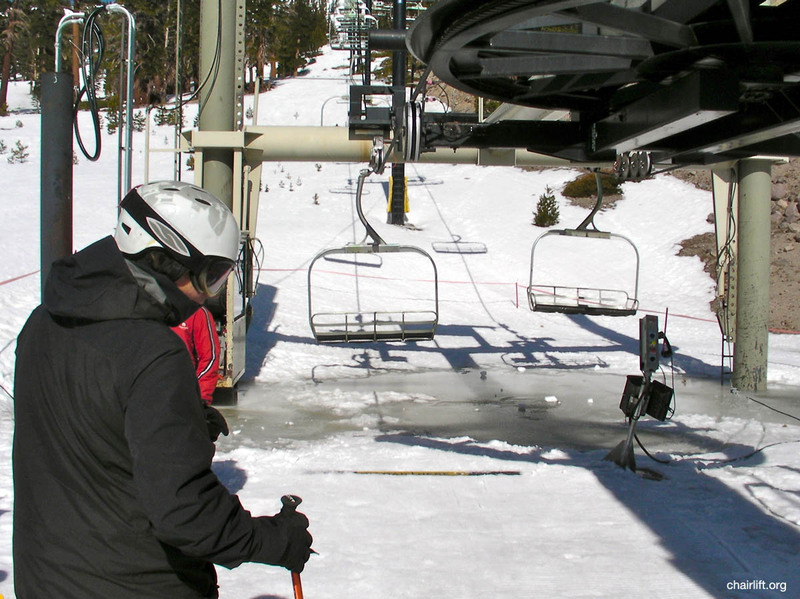 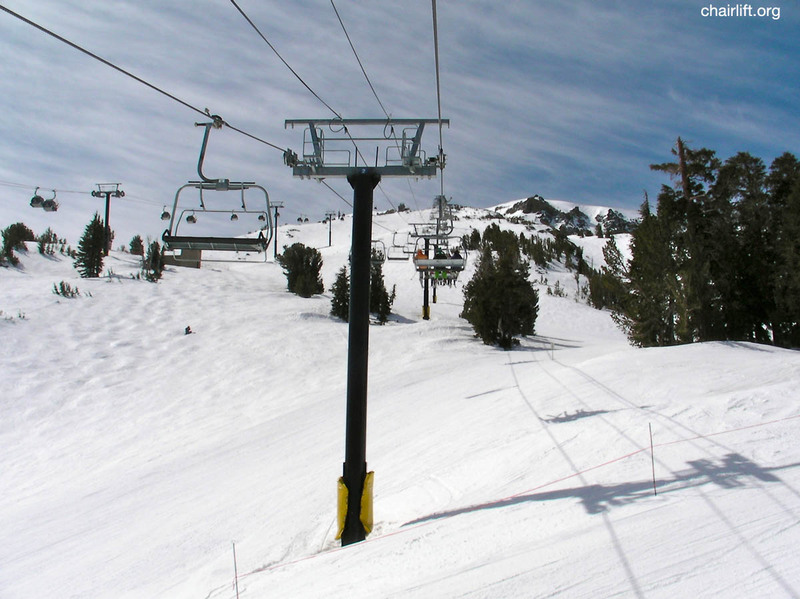 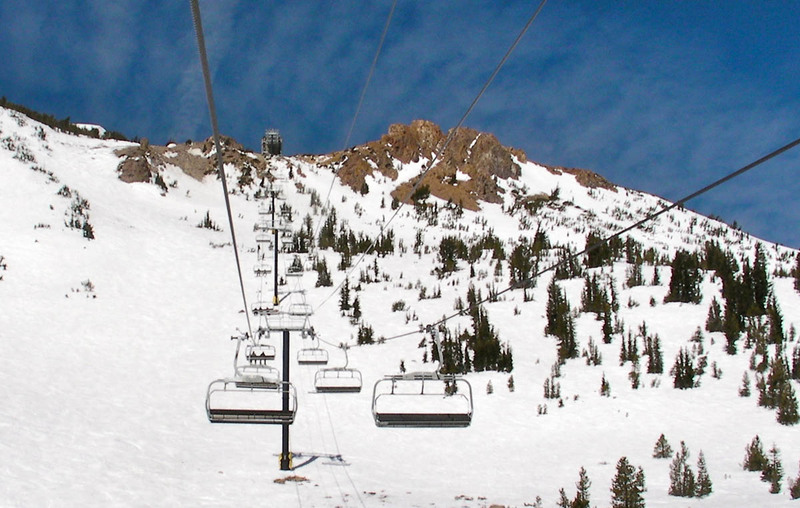 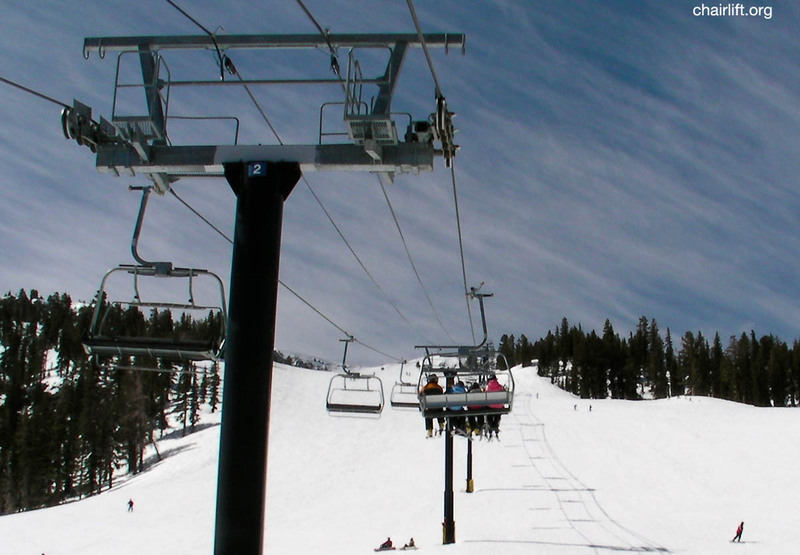 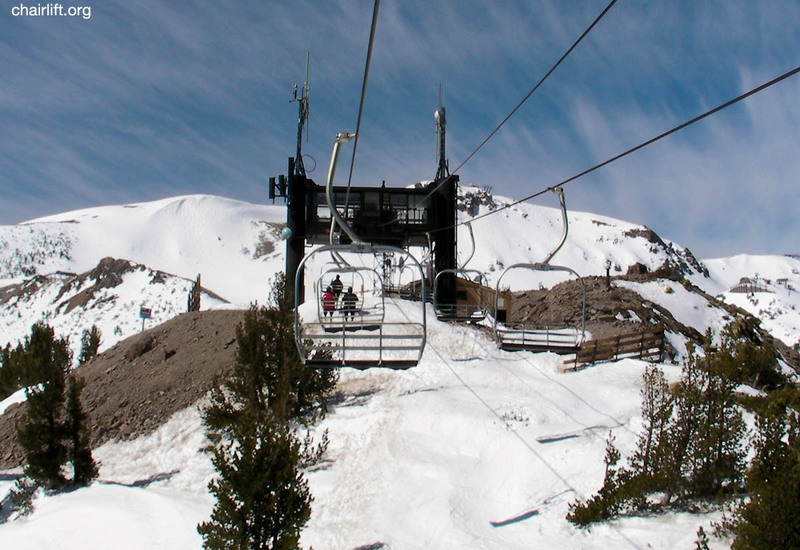 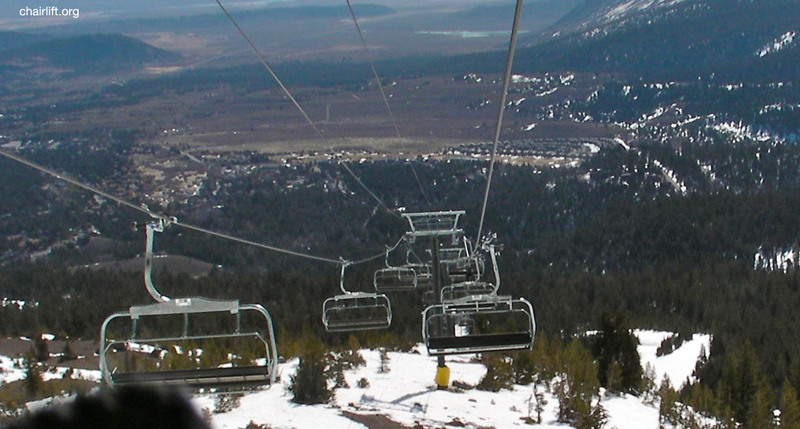 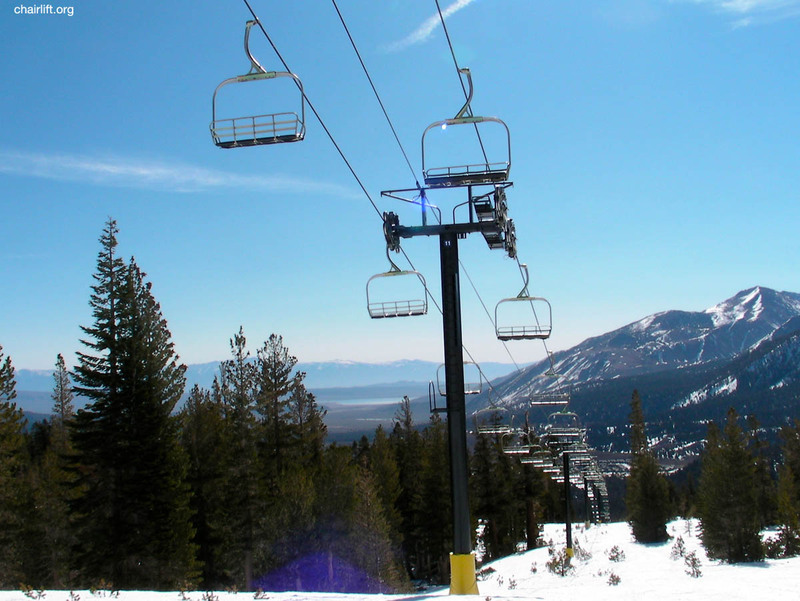 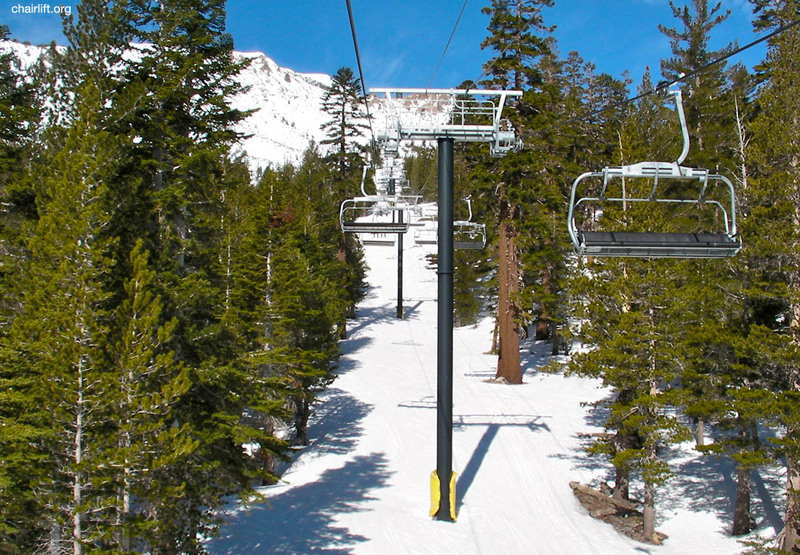 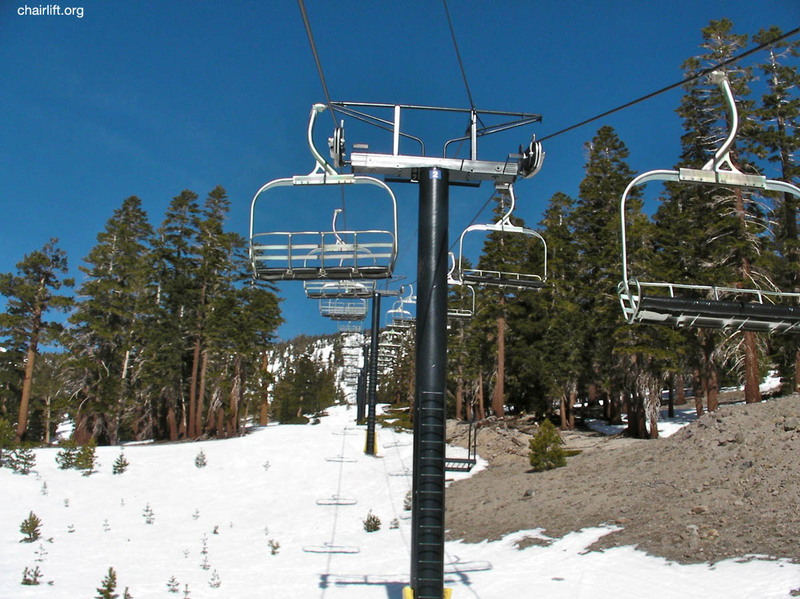 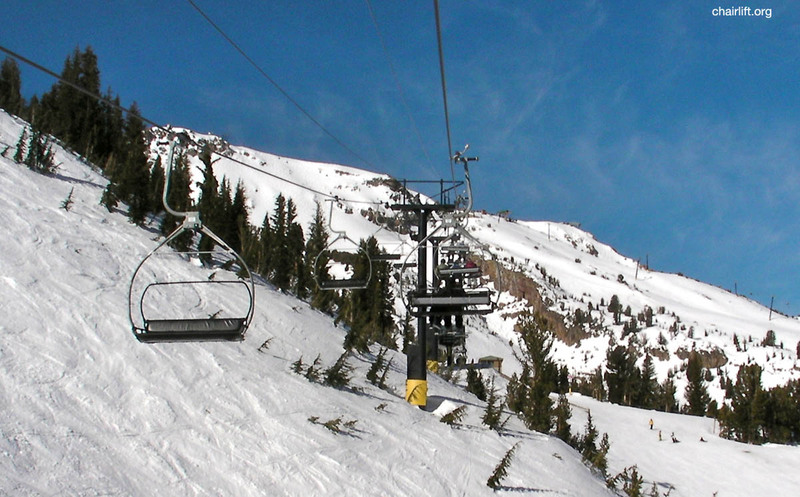 (15) EAGLE EXPRESS (DOPPELMAYR) - This six pack was installed in 2000 to replace chair 15. 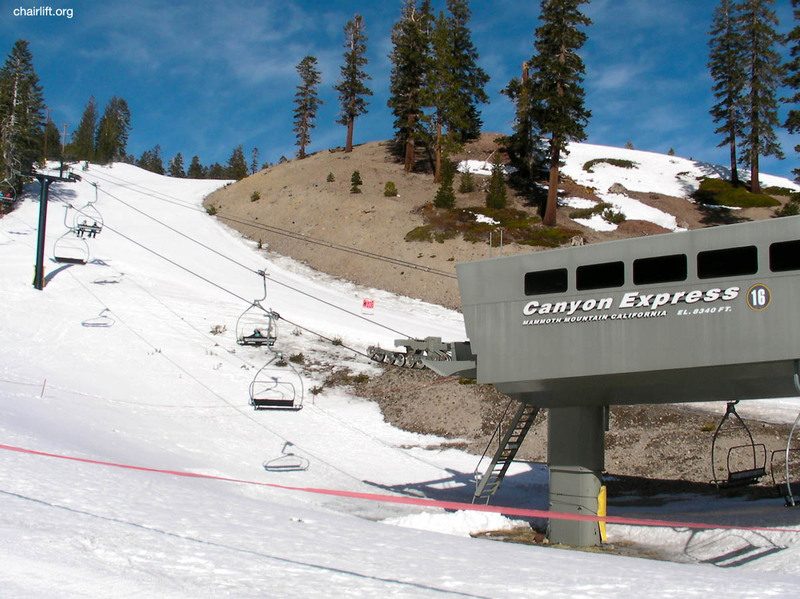 (16) CANYON EXPRESS (YAN/DOPPELMAYR) - Built in 1994 this YAN high speed quad was retrofitted by Doppelmay. 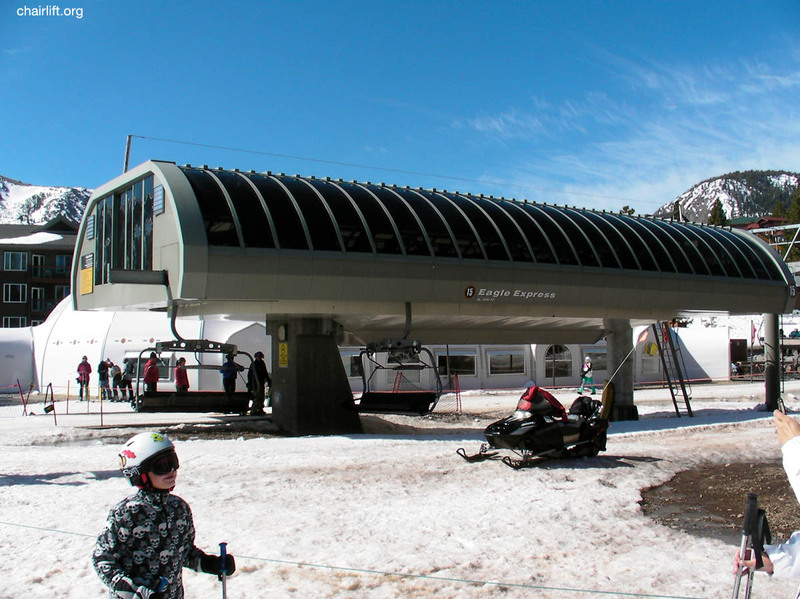 in 1996 with new grips, sheaves, hanger arms and terminal rebuilds. 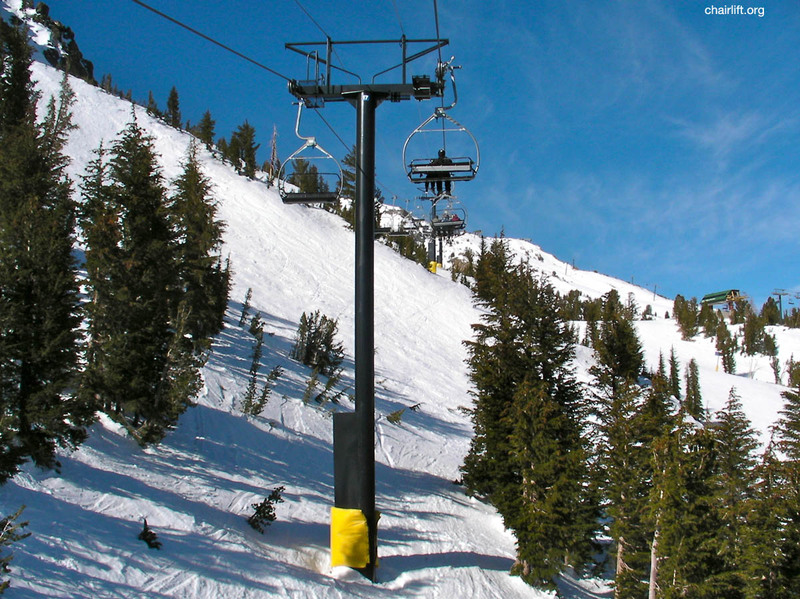 It replaced chair 16, a 1974 Yan triple. 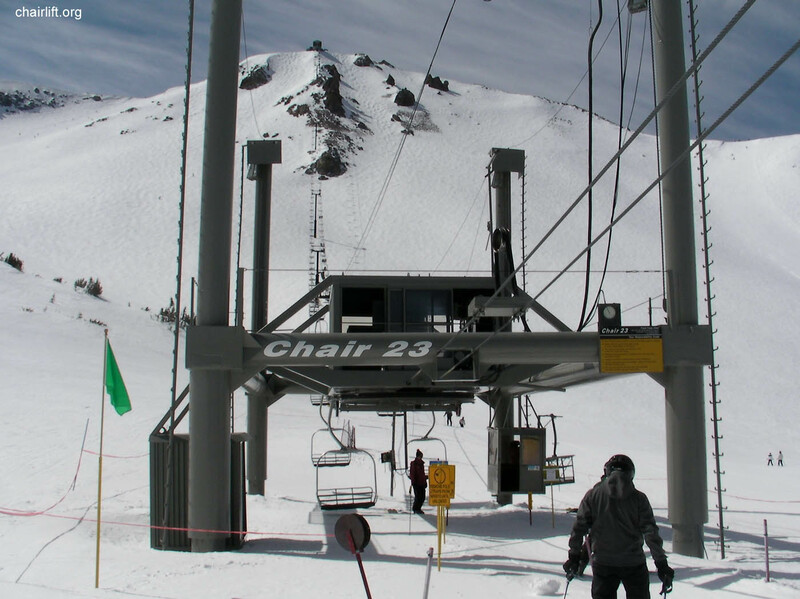 (22) CHAIR 22 (YAN) - Built by Yan in 1982. 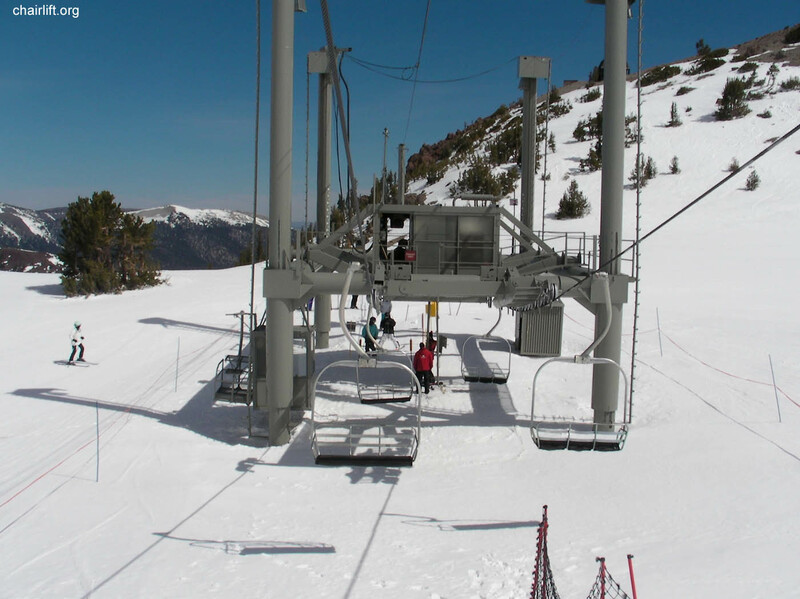 (23) CHAIR 23 (YAN) - Built by Yan in 1982 with terminals that are adjustable to snow depth. 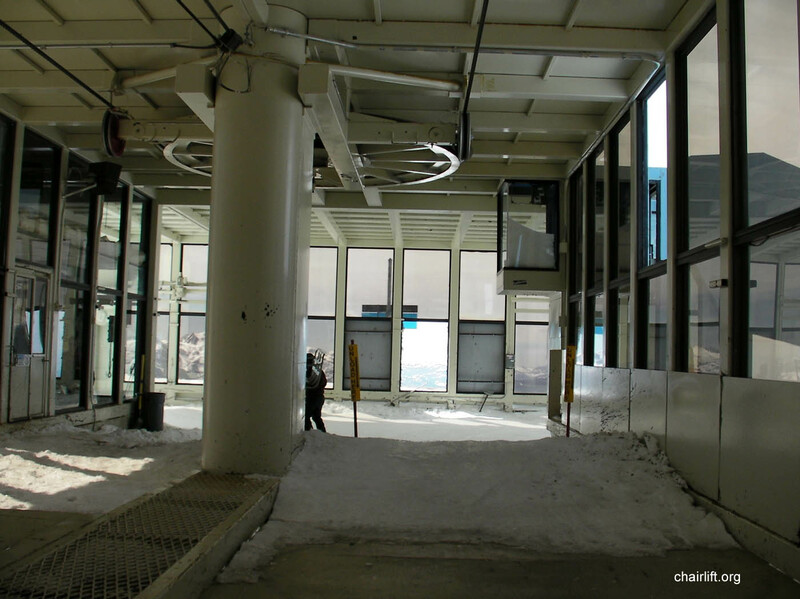 This lift also features an enclosed top terminal. 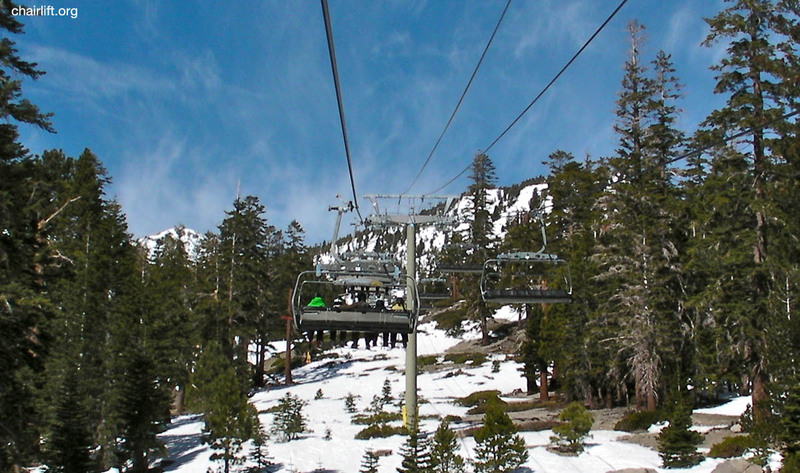 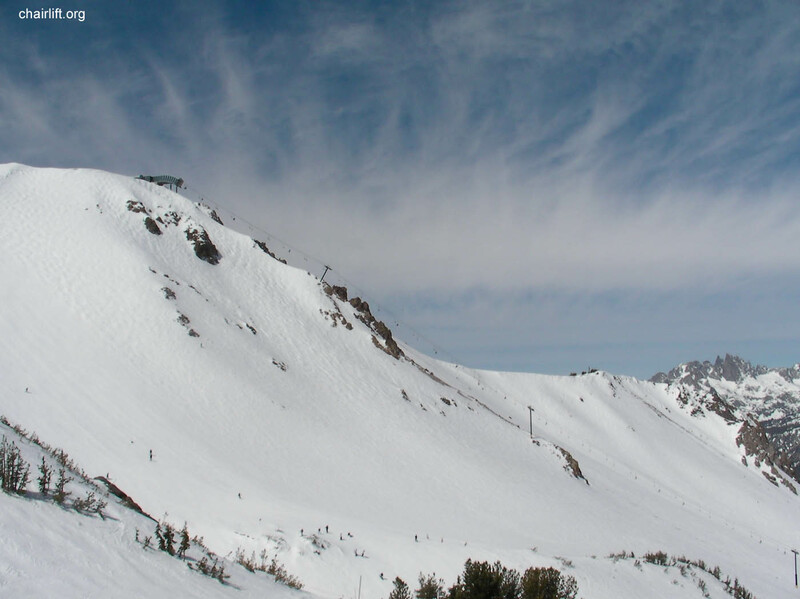 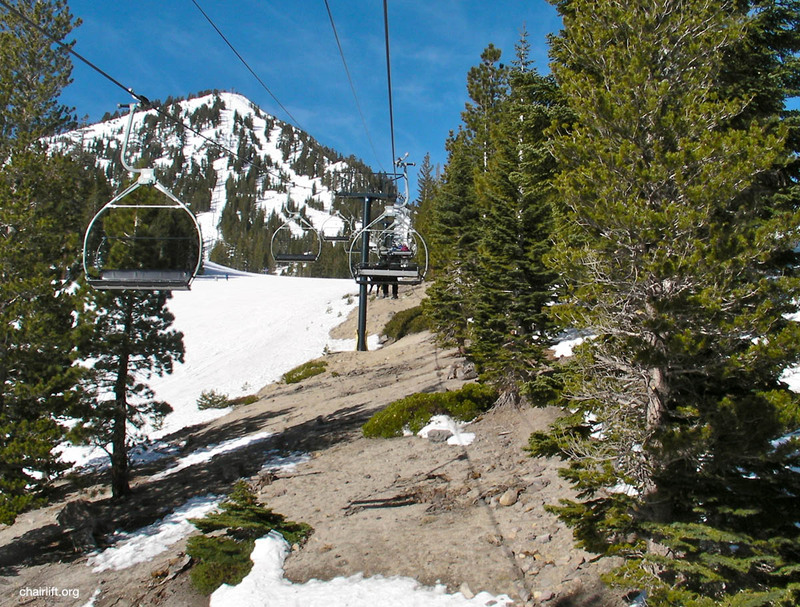 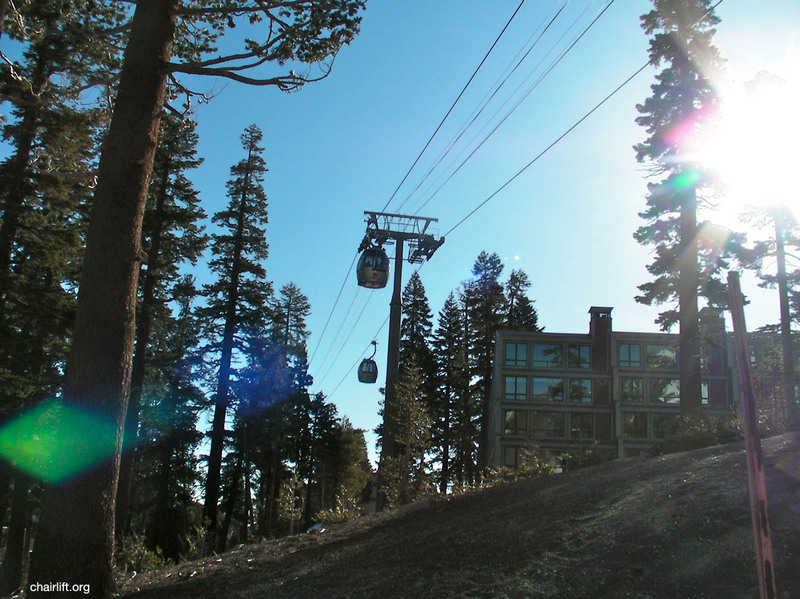 with the lower Panorama Gondola. 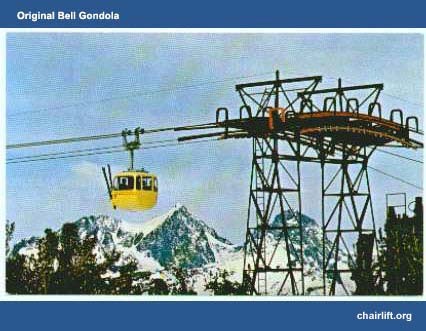 This was a bi-cable gondola system. 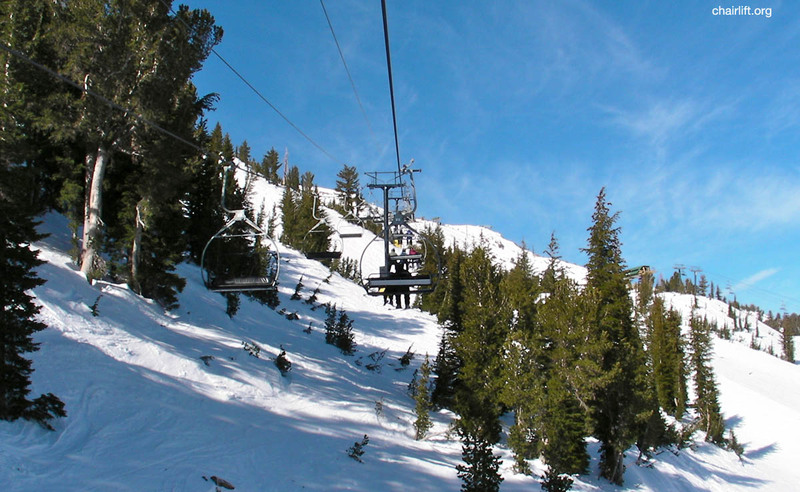 with the upper Panorama Gondola. 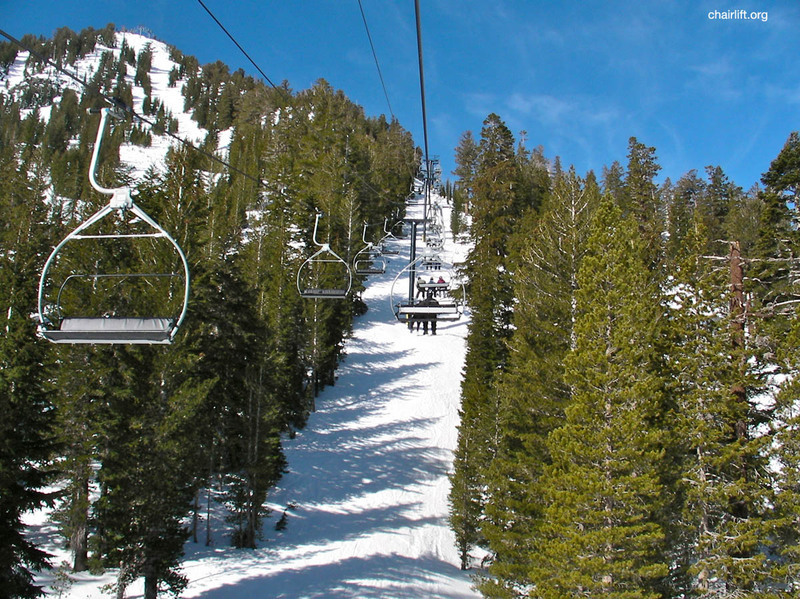 original Chair 2. 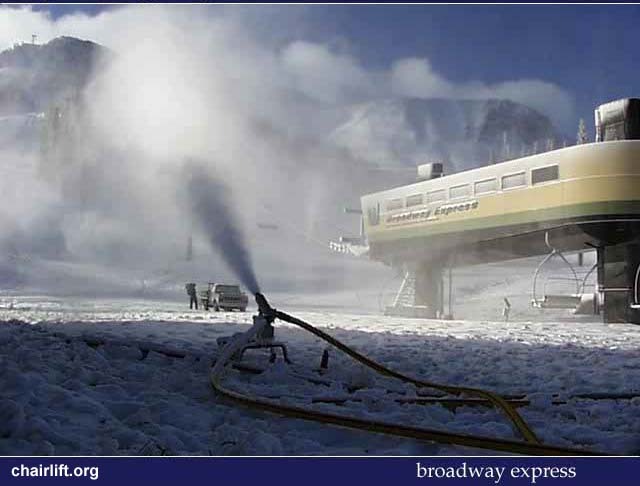 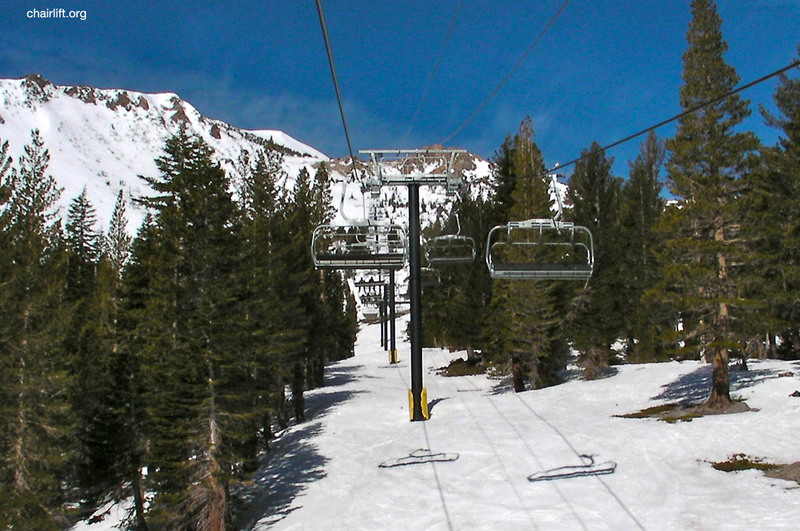 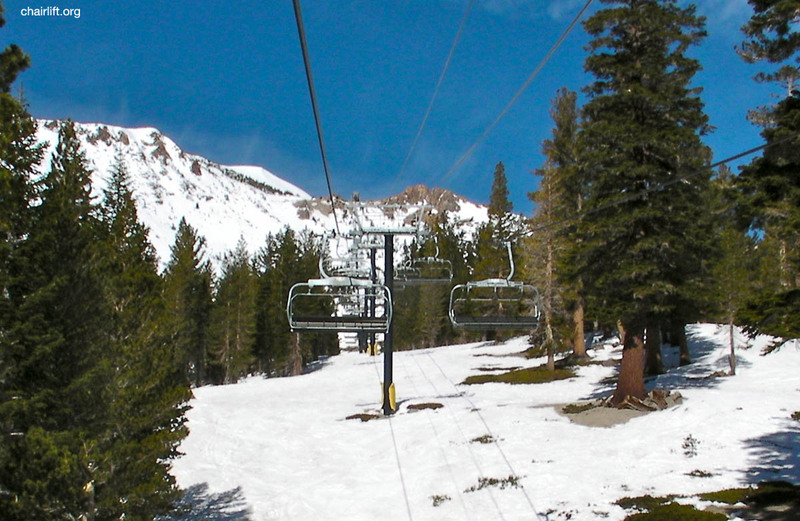 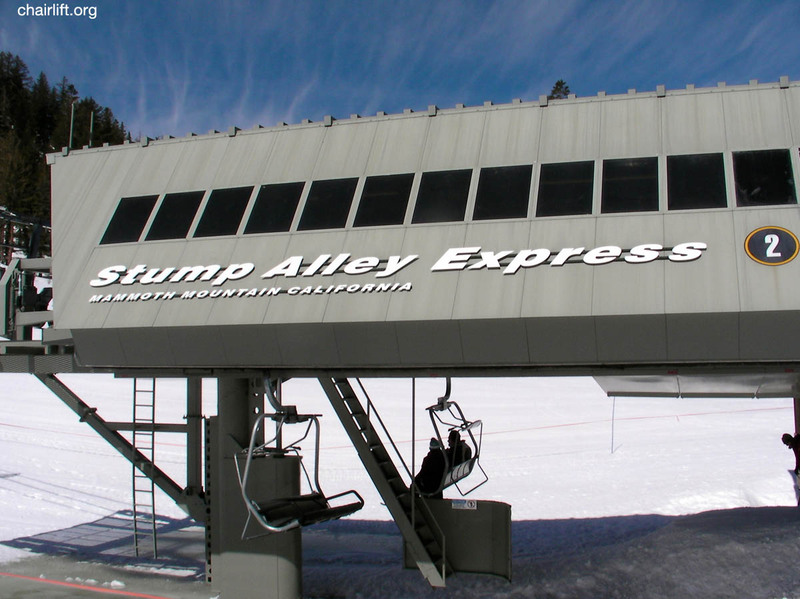 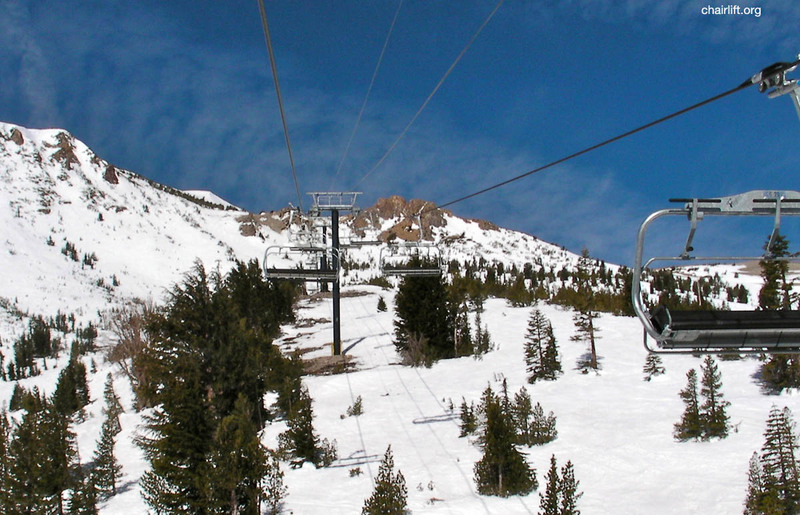 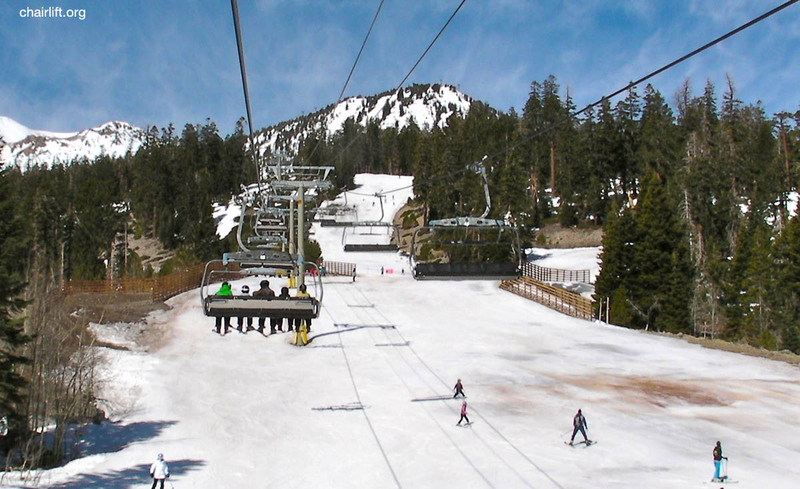 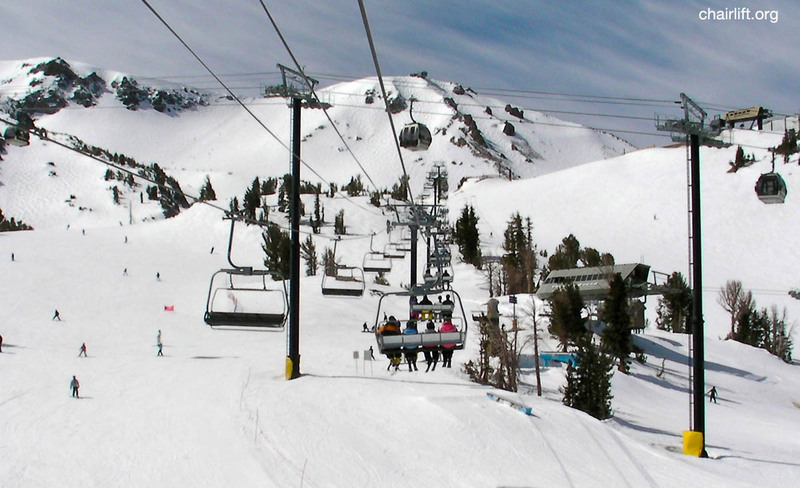 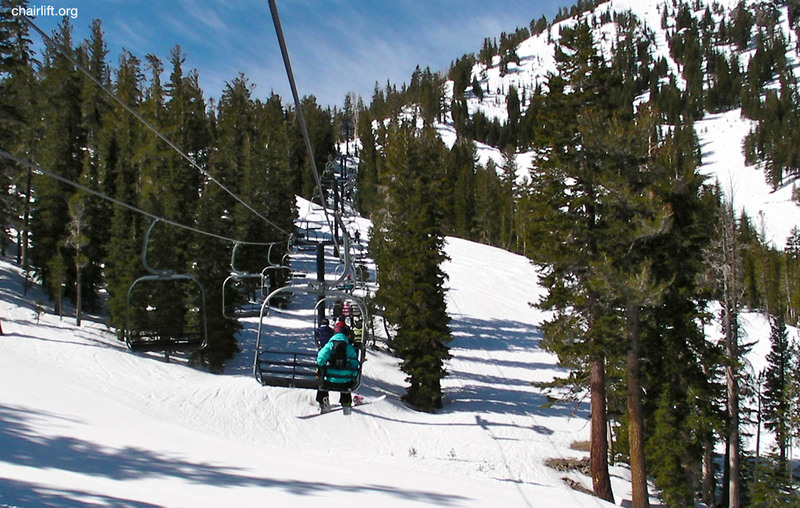 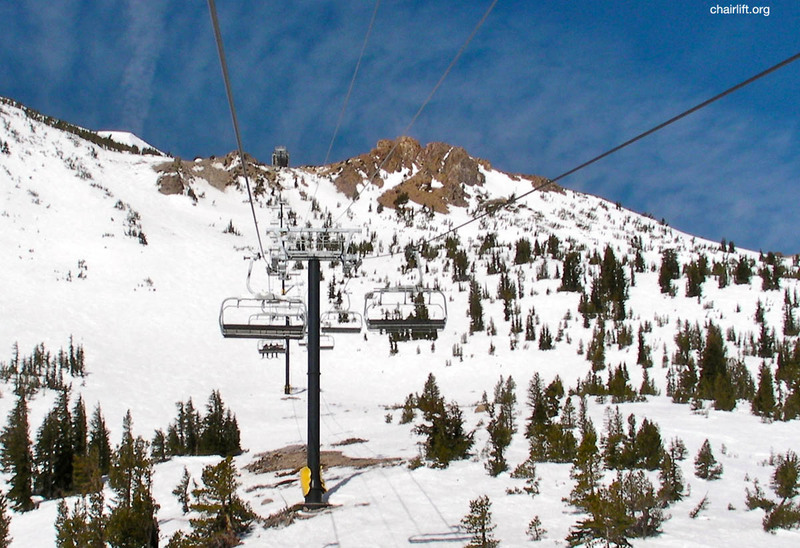 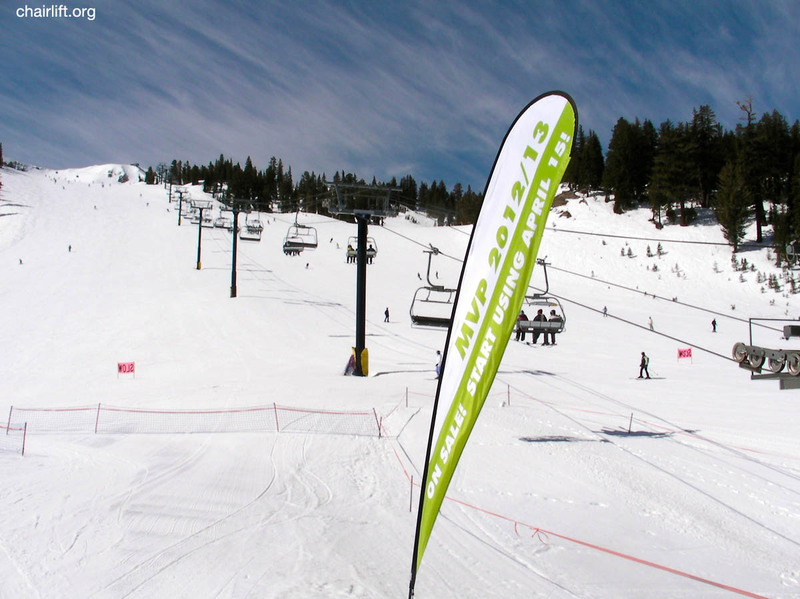 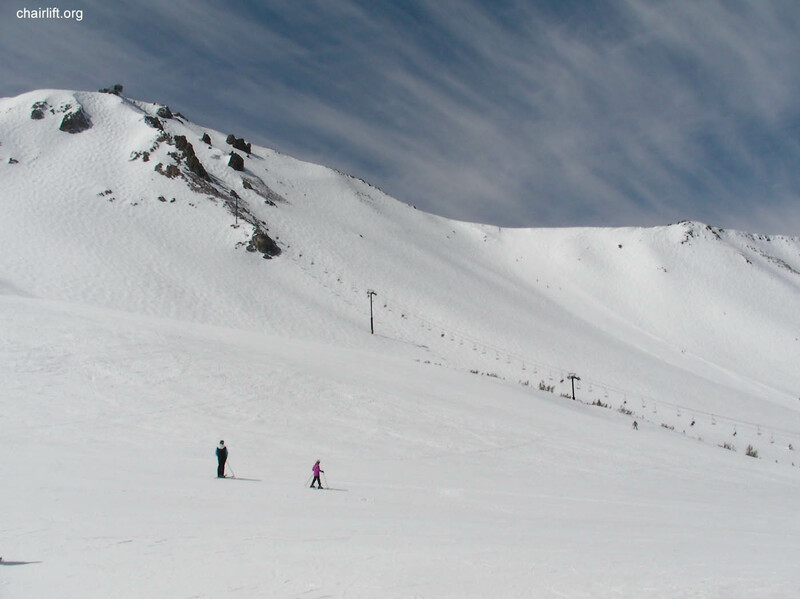 It was replaced in 1997 with The Stump Alley Express Quad. 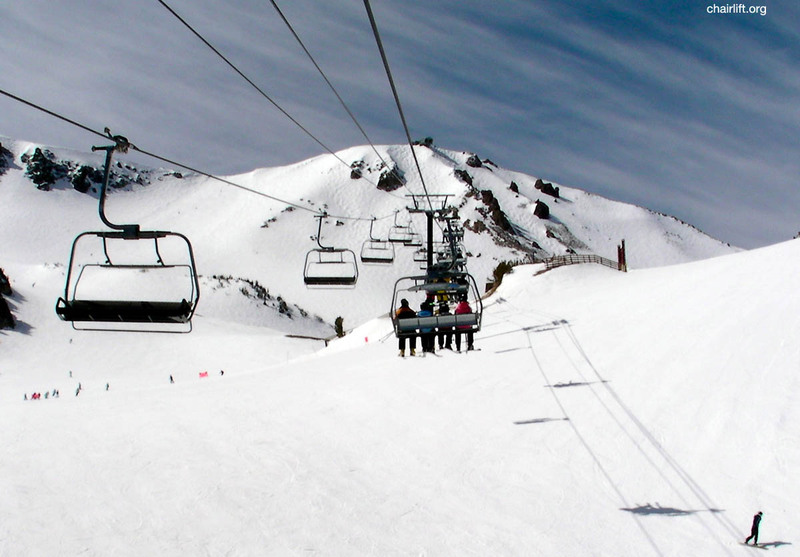 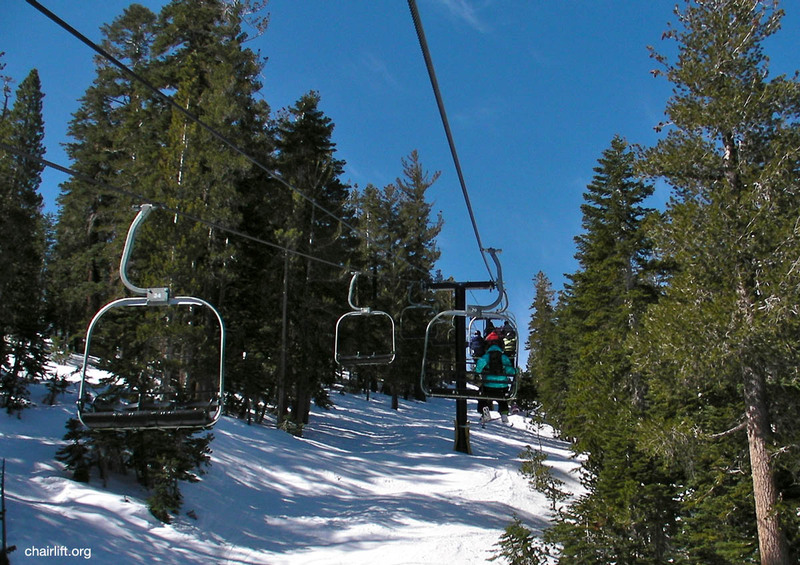 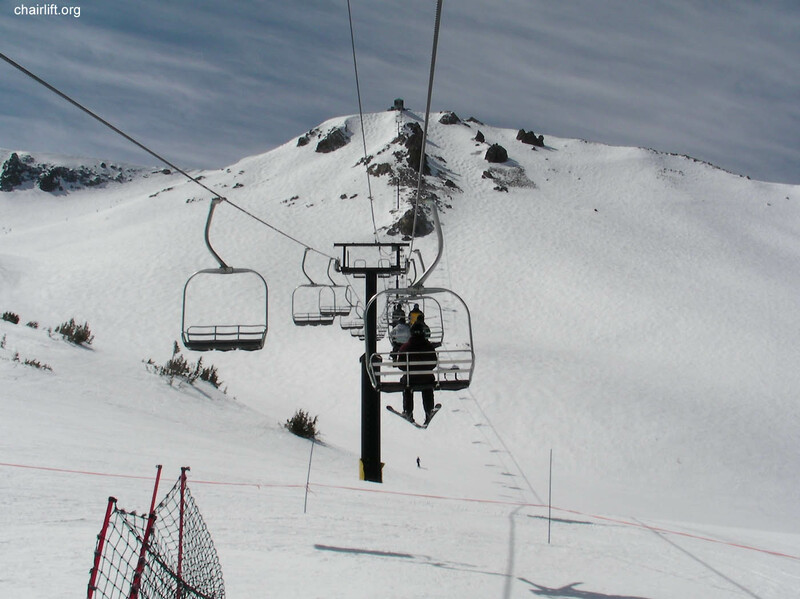 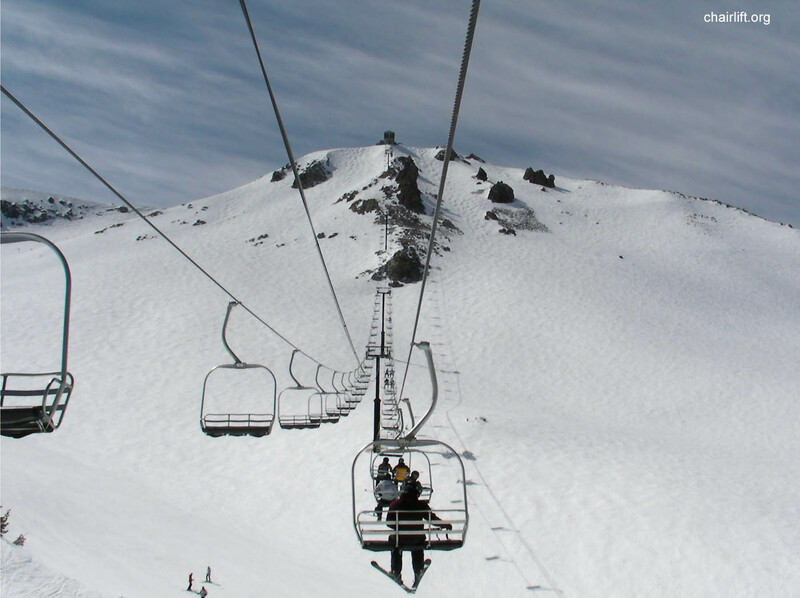 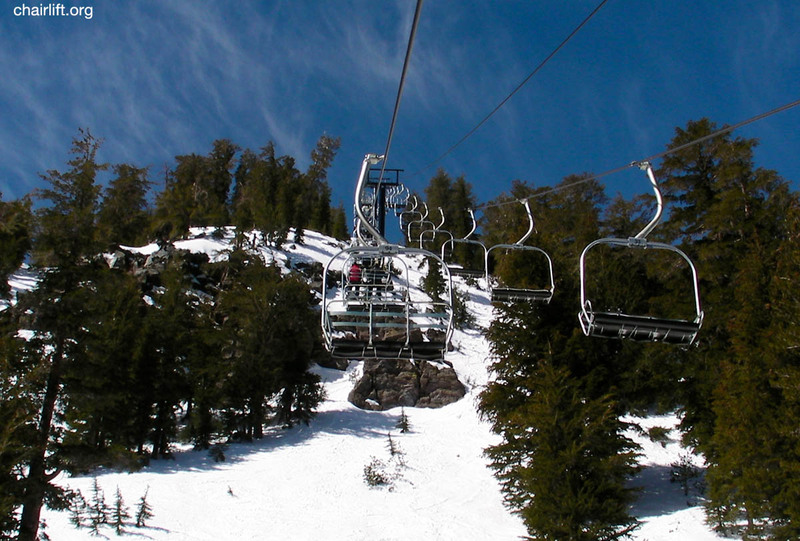 CHAIR 2 (RIBLET) - The original Chair 2 ran from 1956 until it was replaced in 1985 with a Yan Quad. 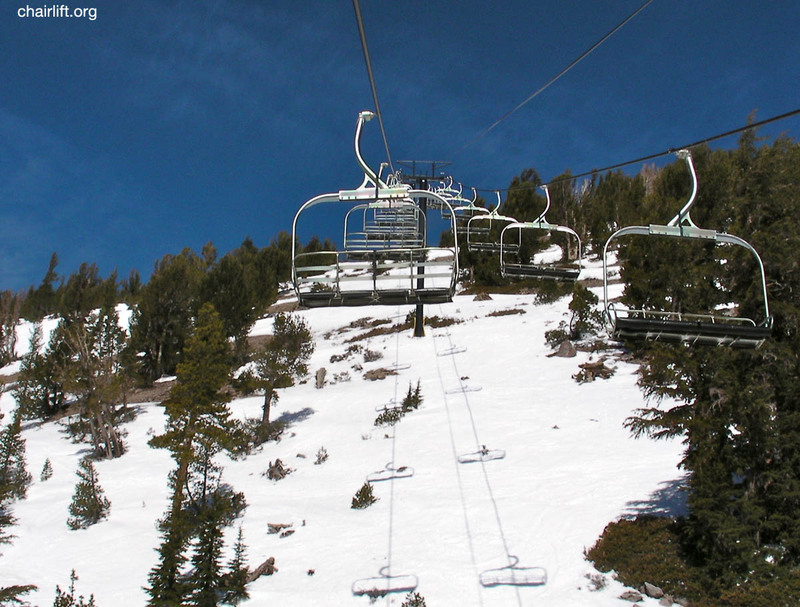 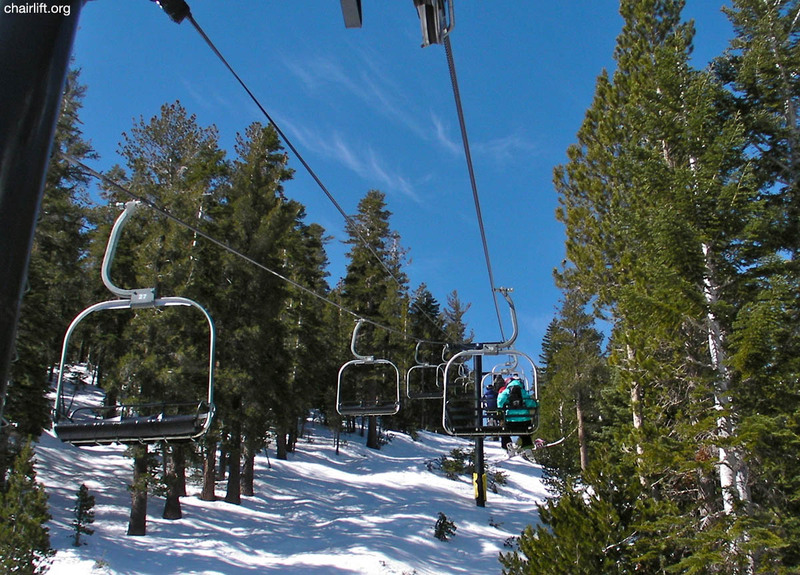 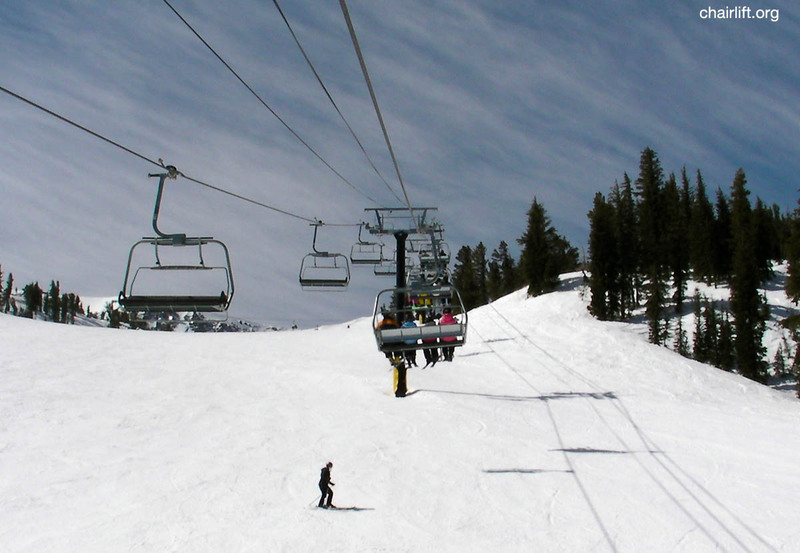 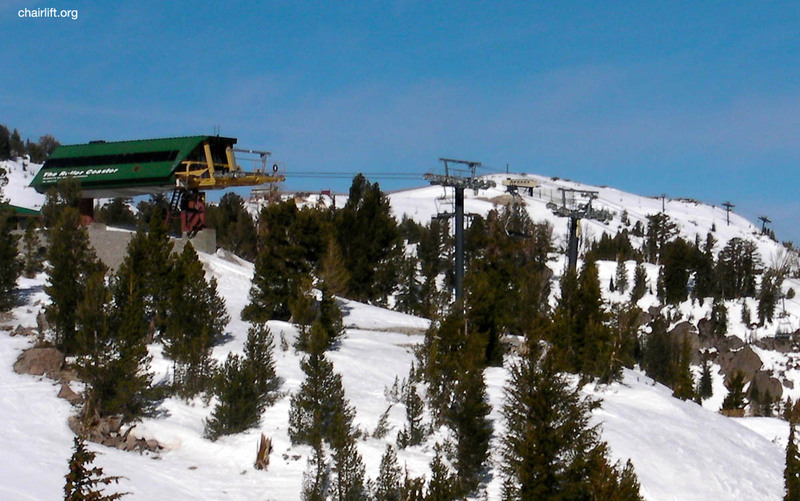 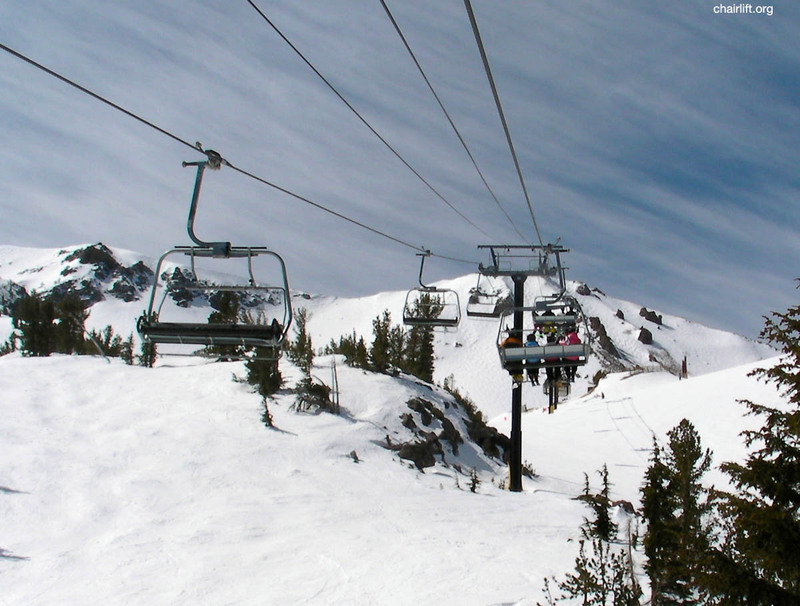 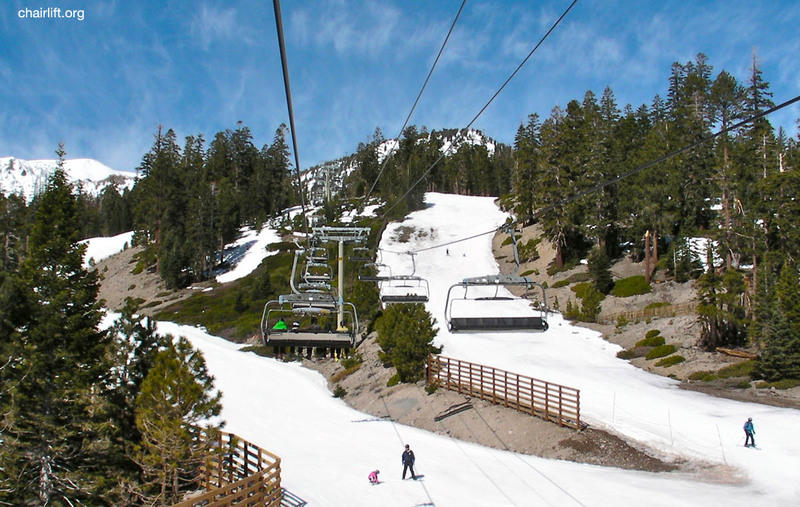 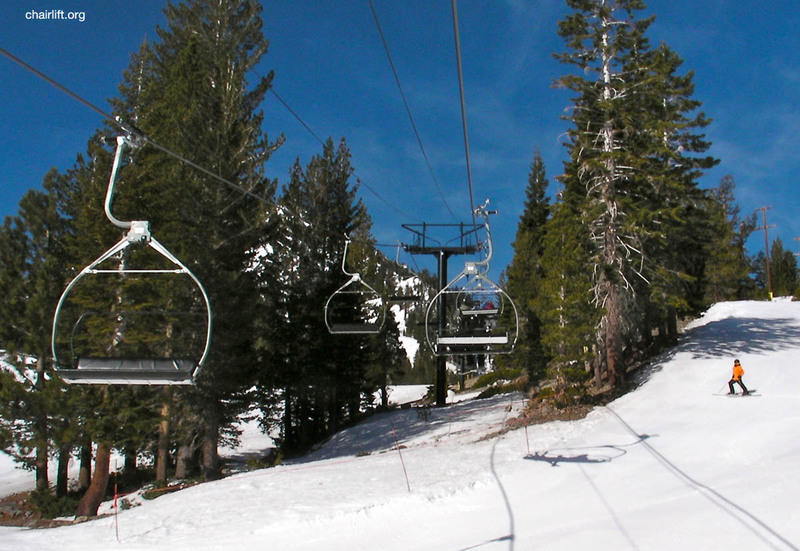 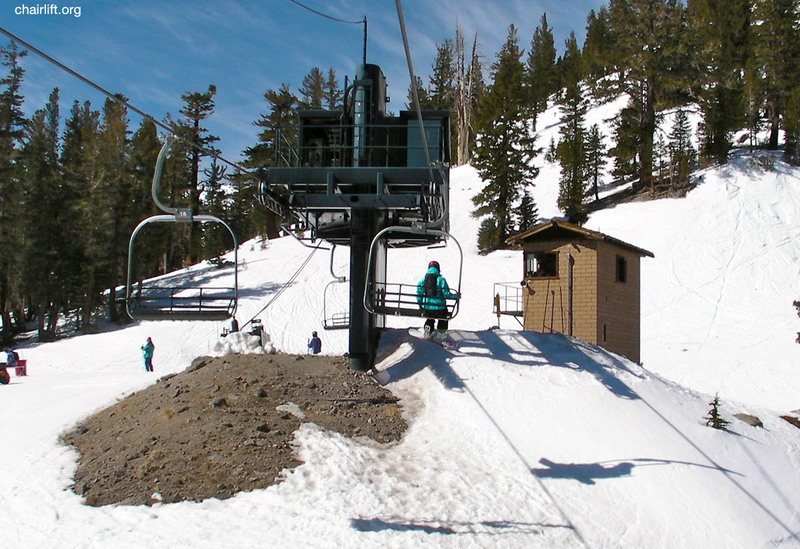 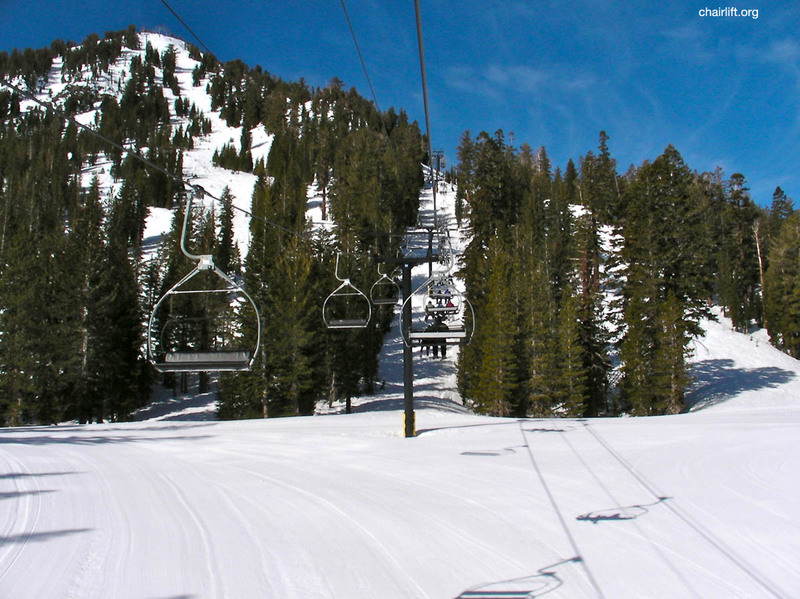 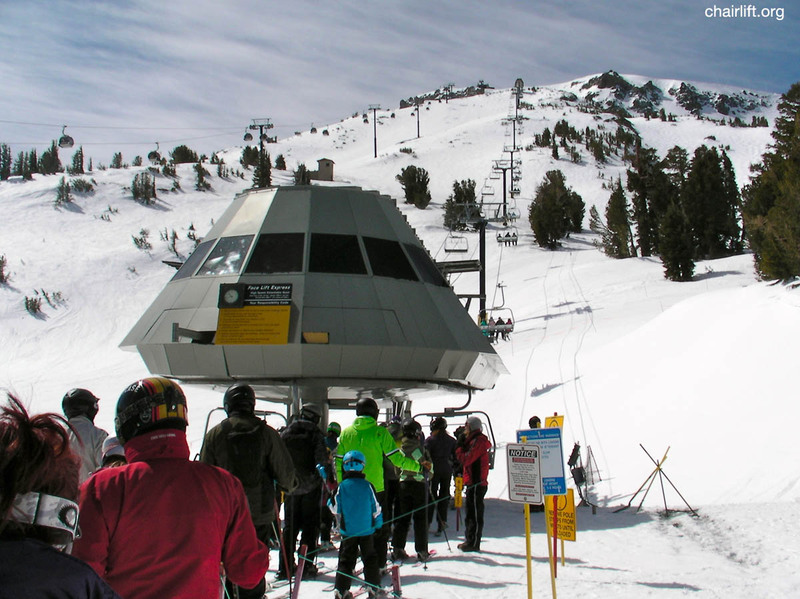 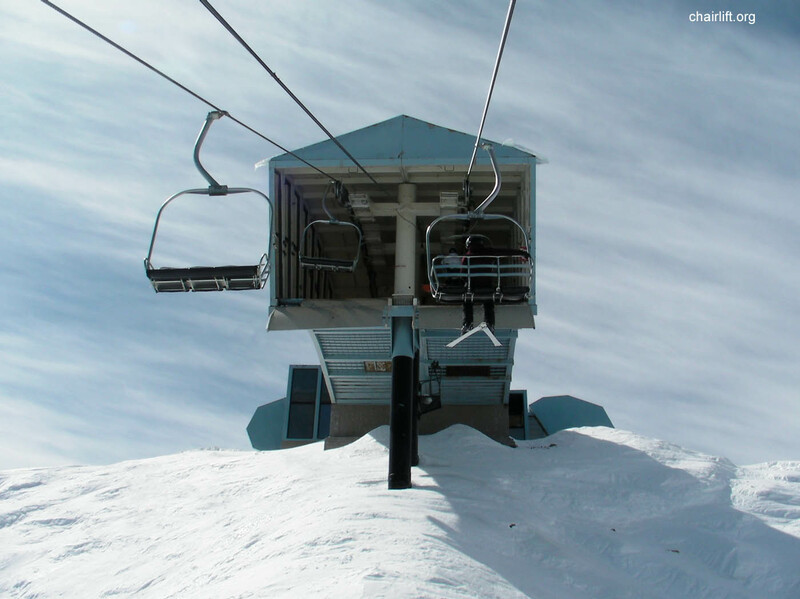 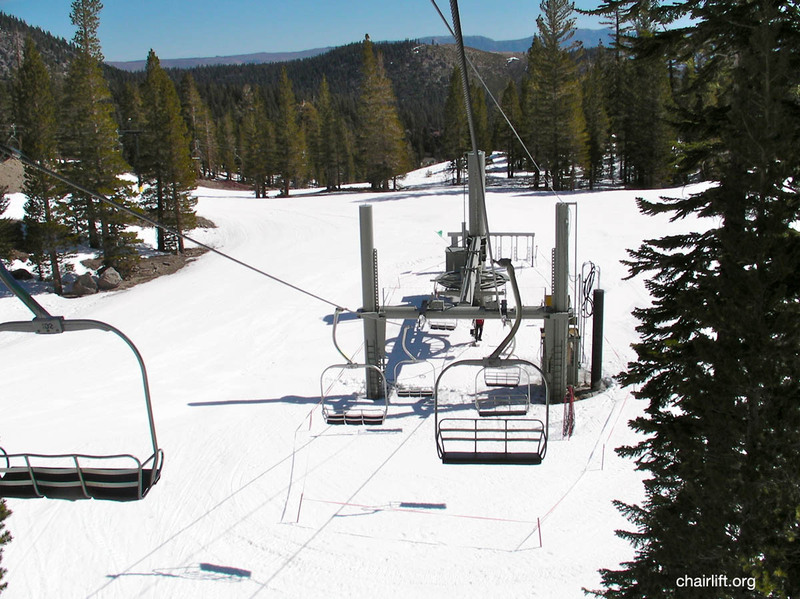 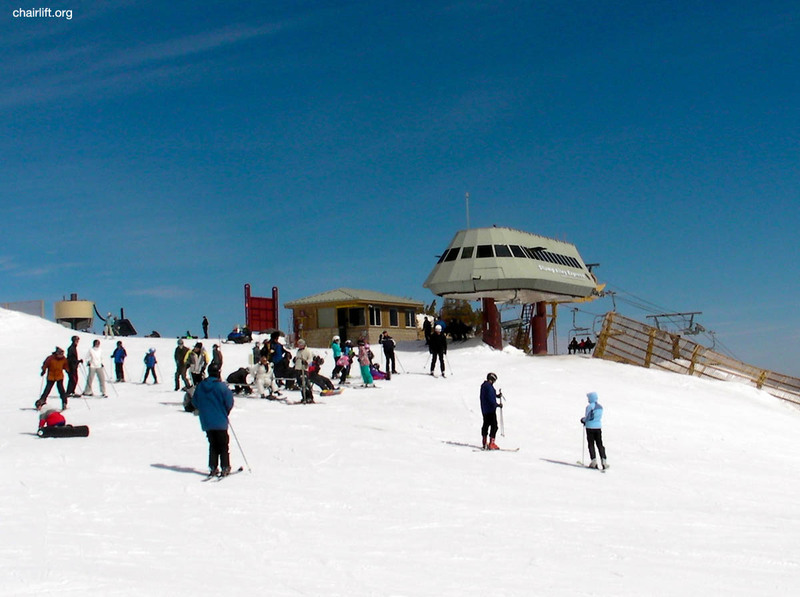 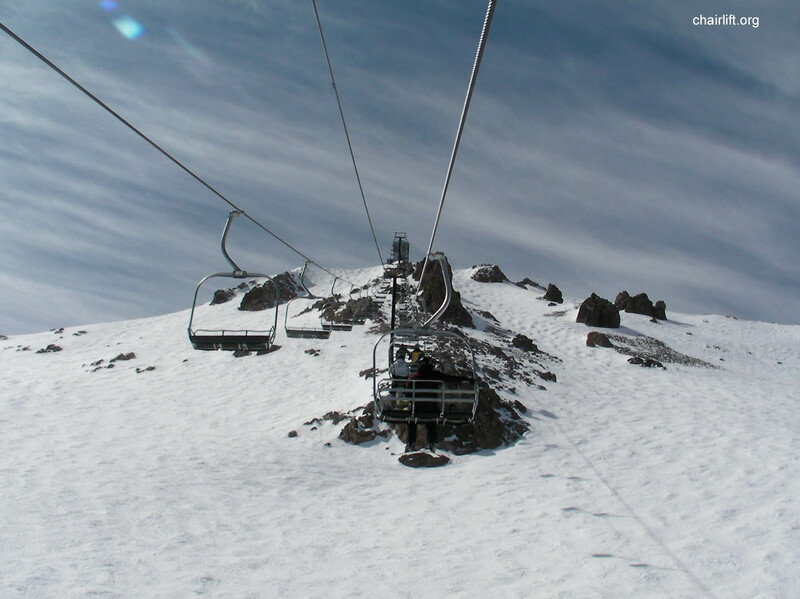 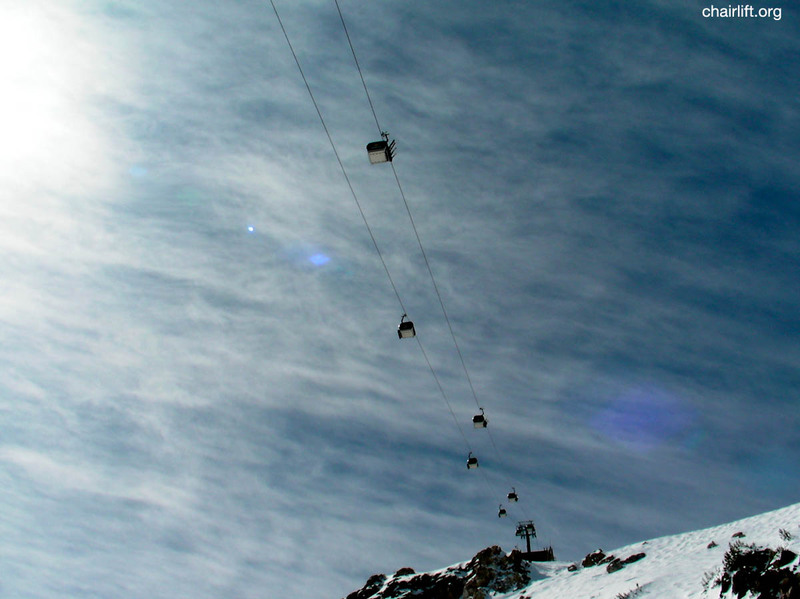 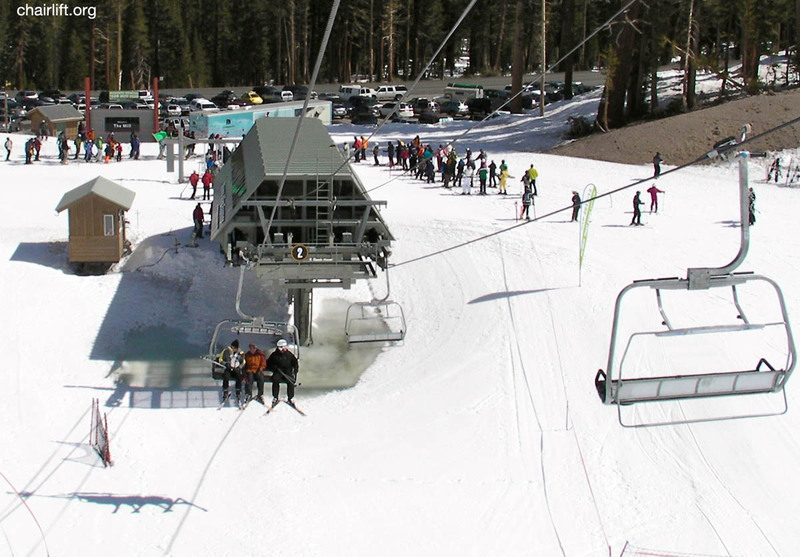 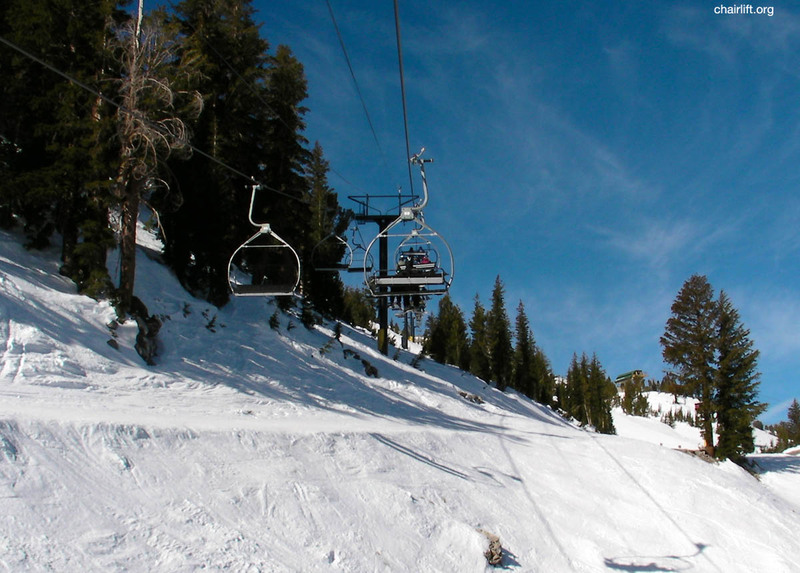 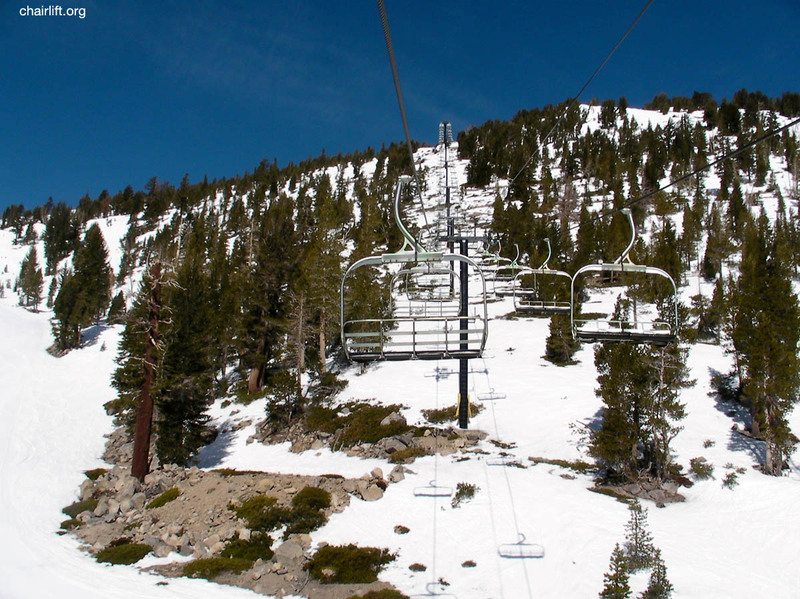 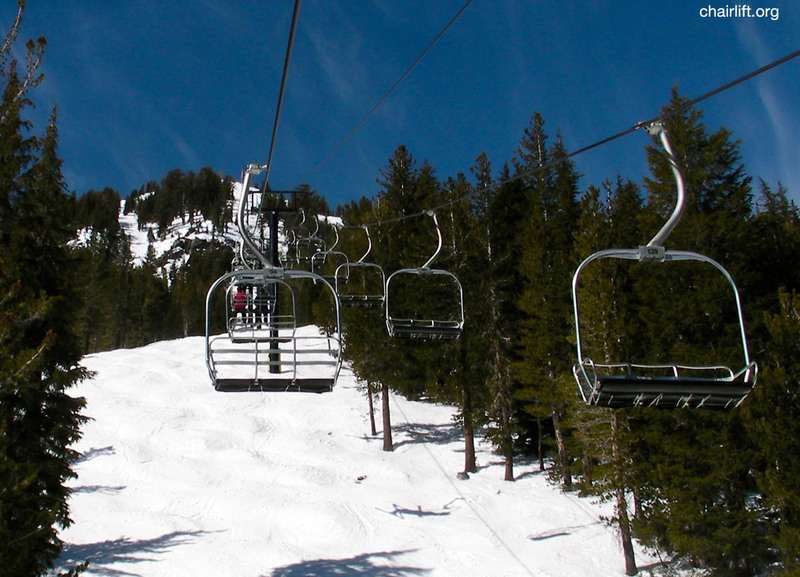 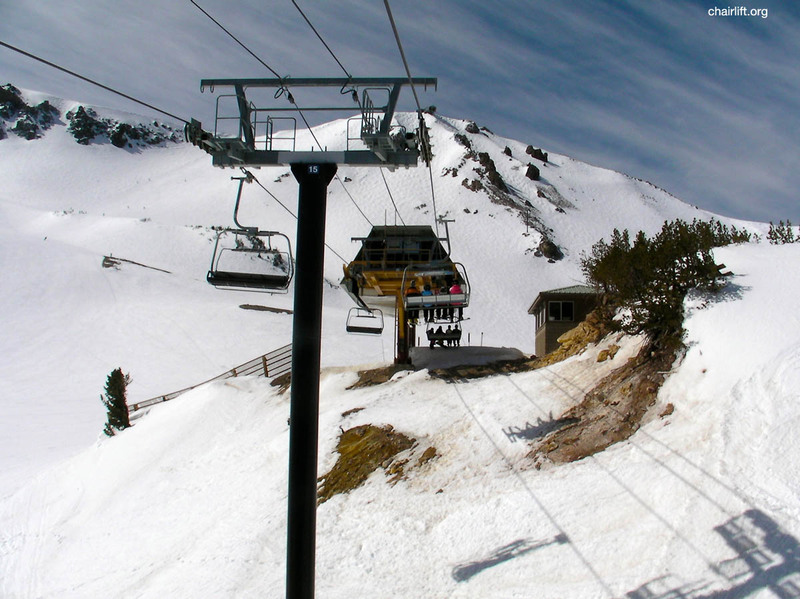 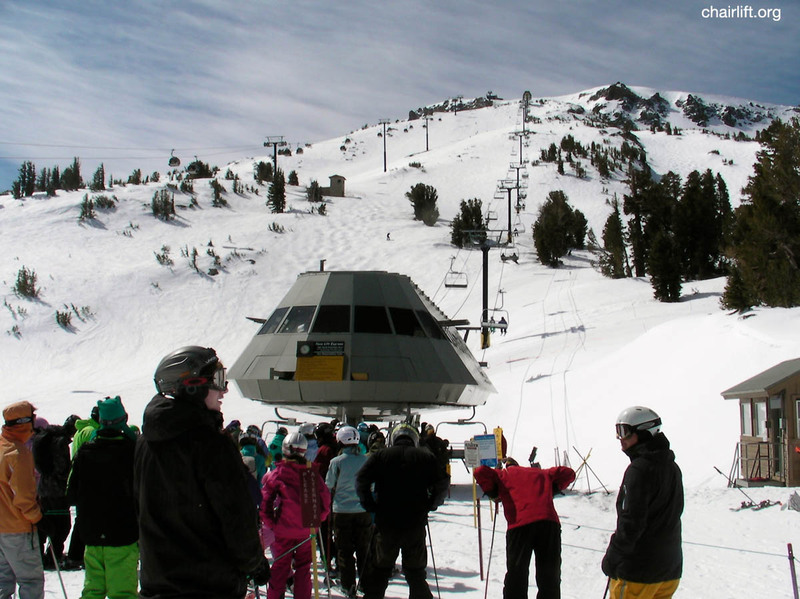 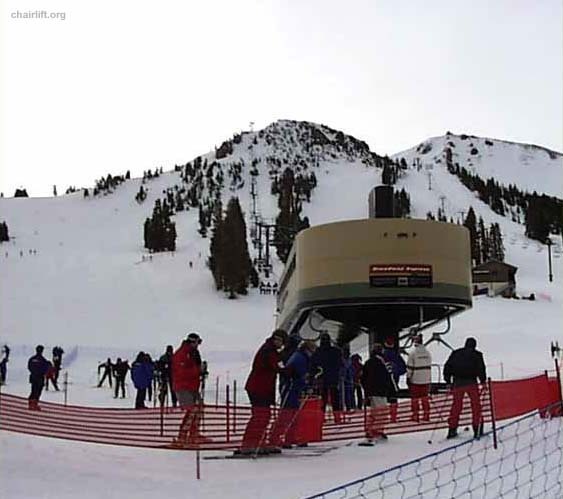 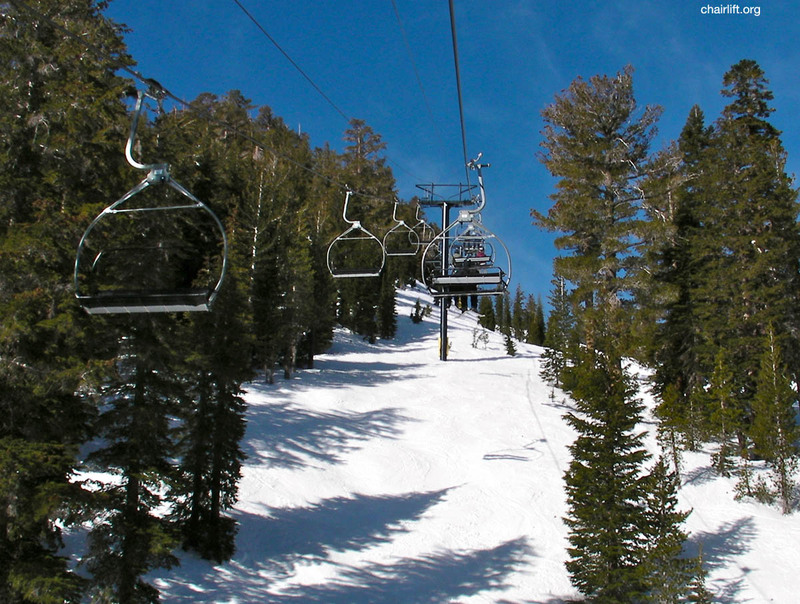 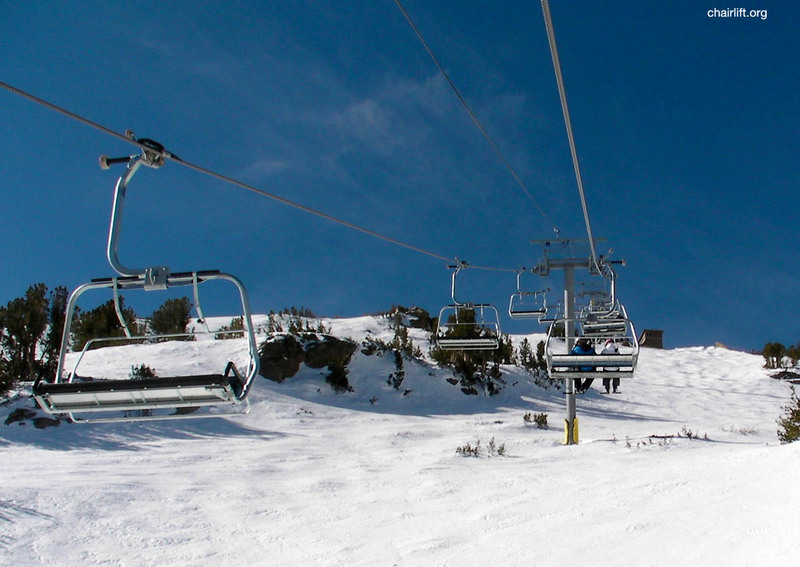 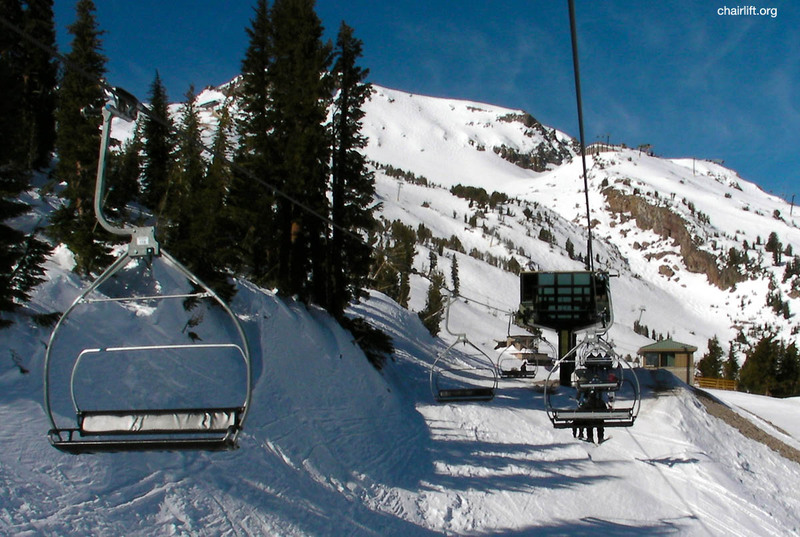 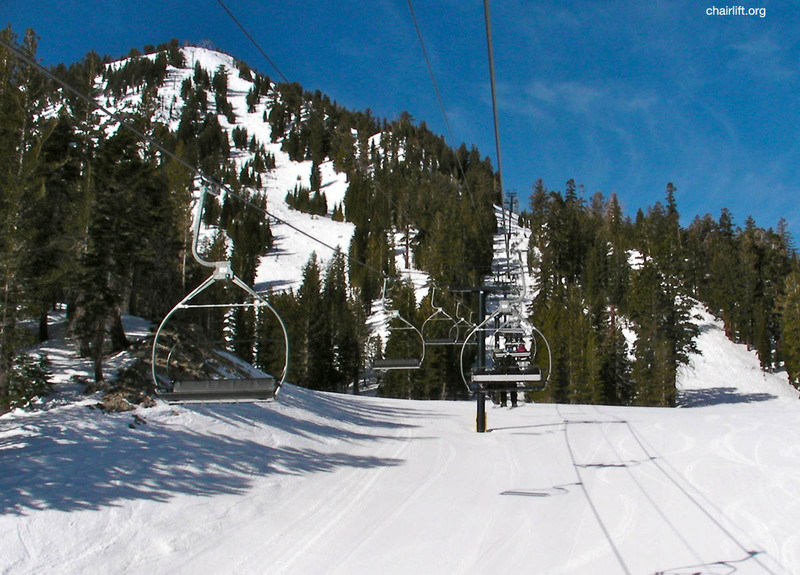 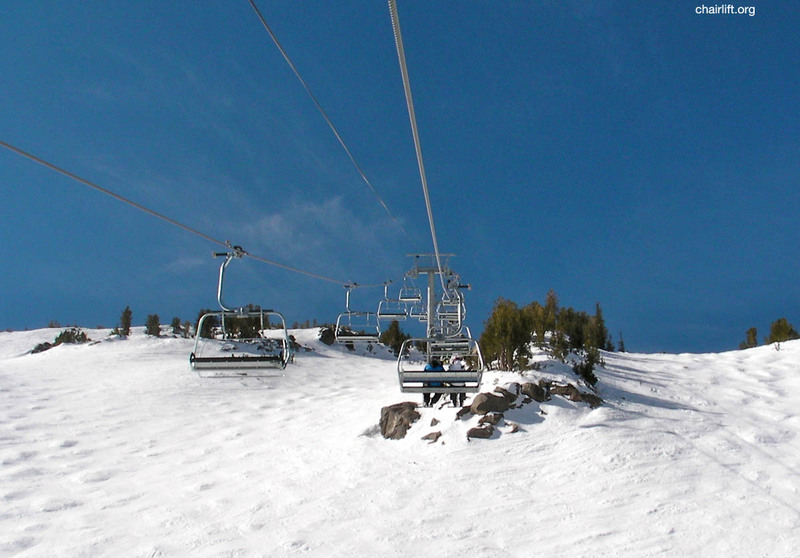 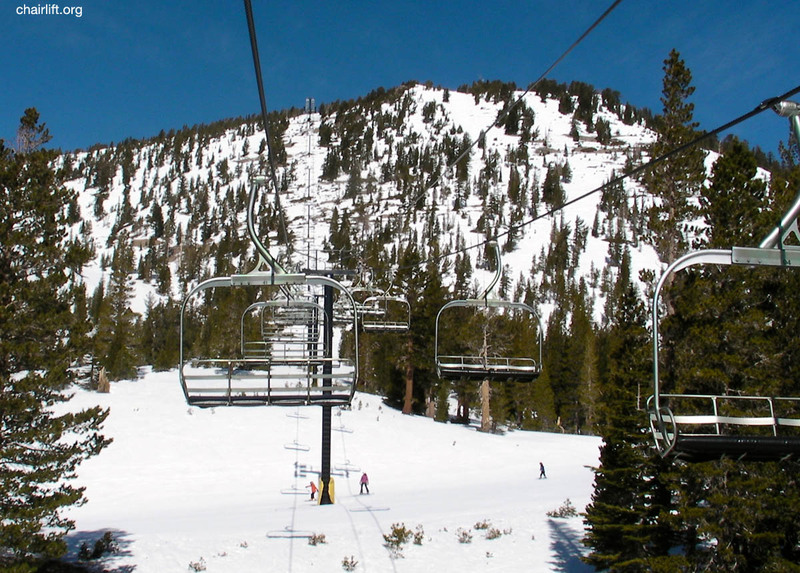 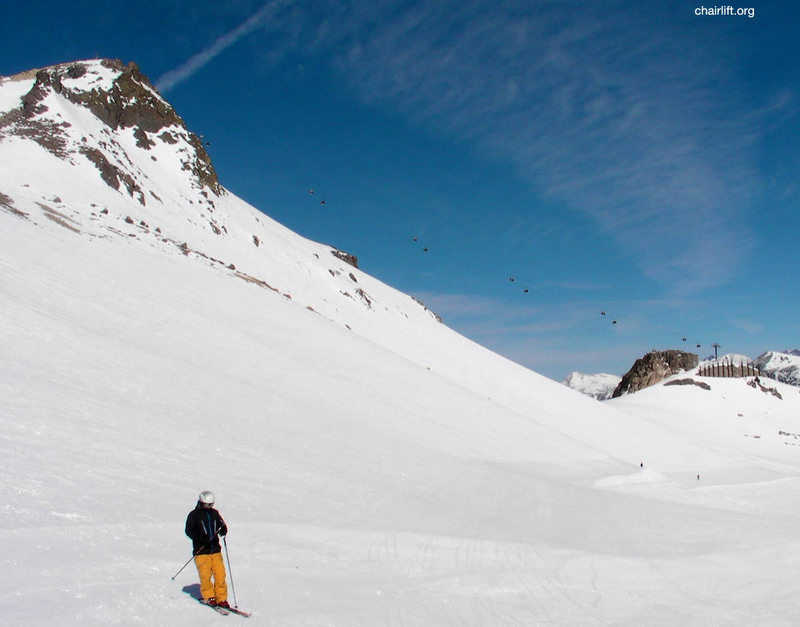 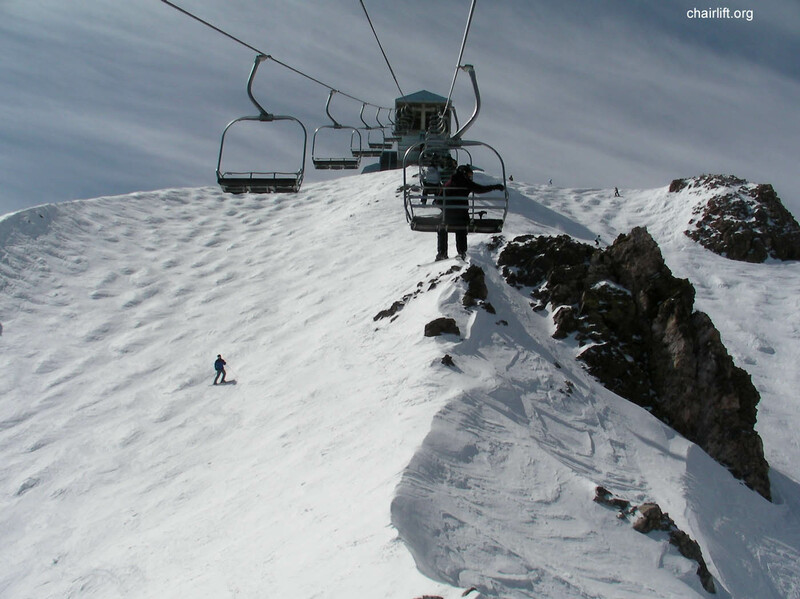 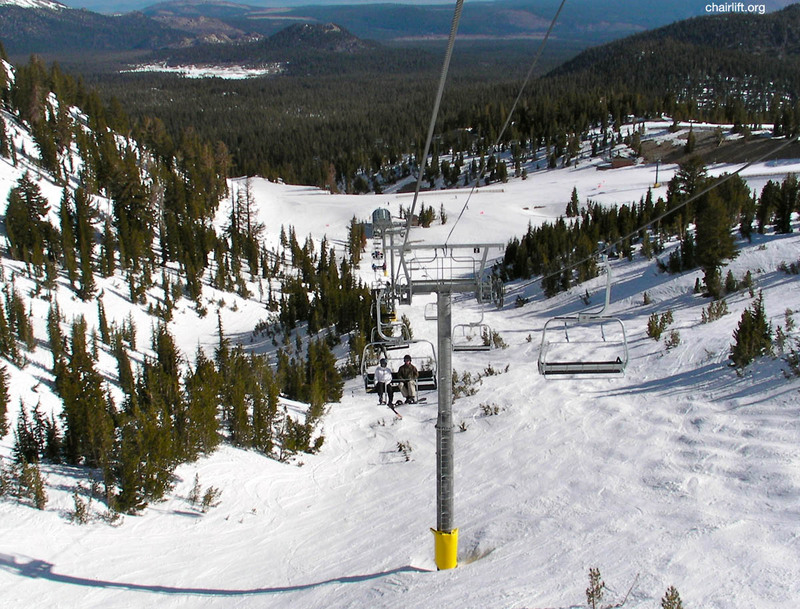 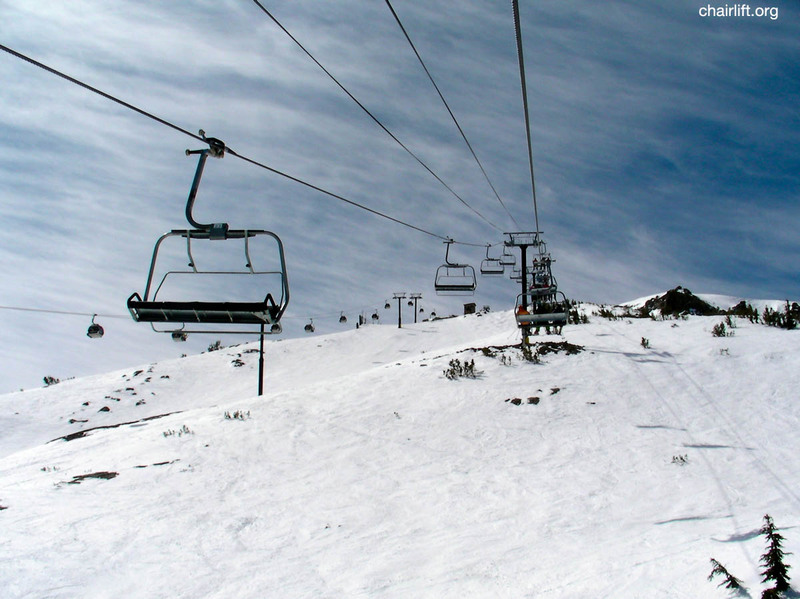 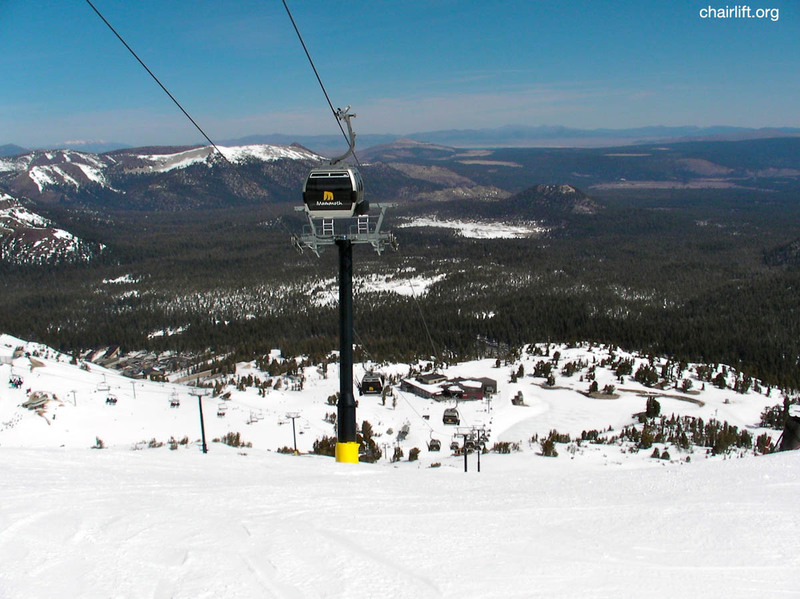 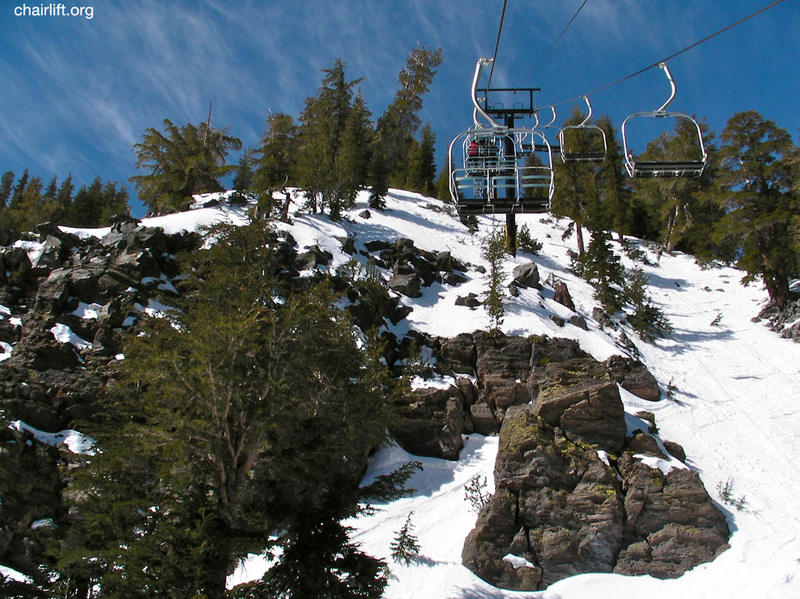 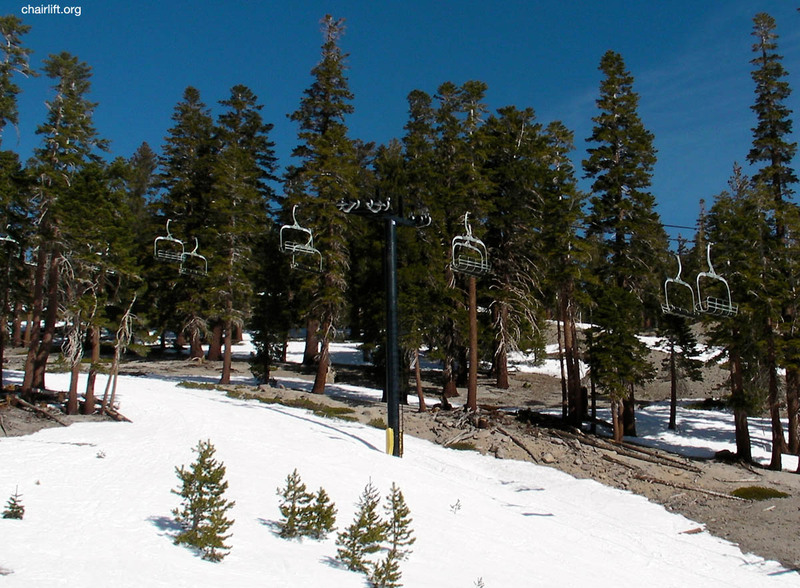 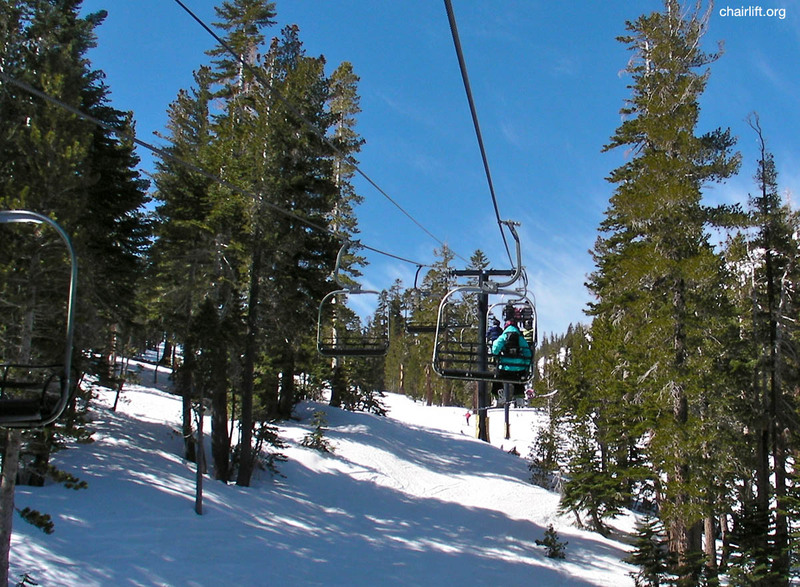 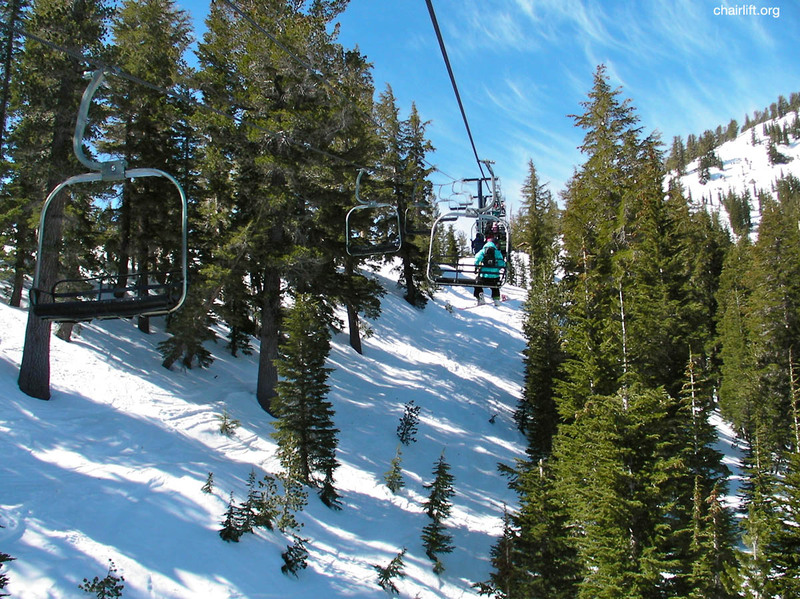 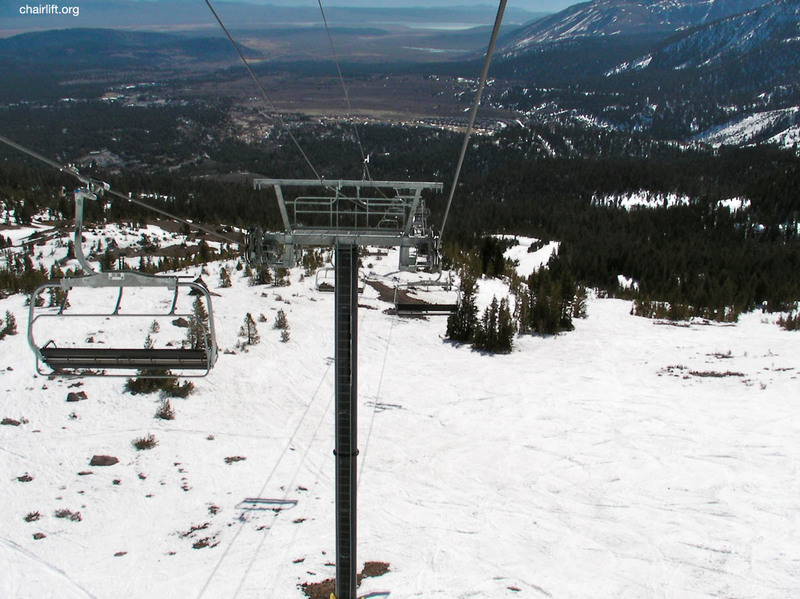 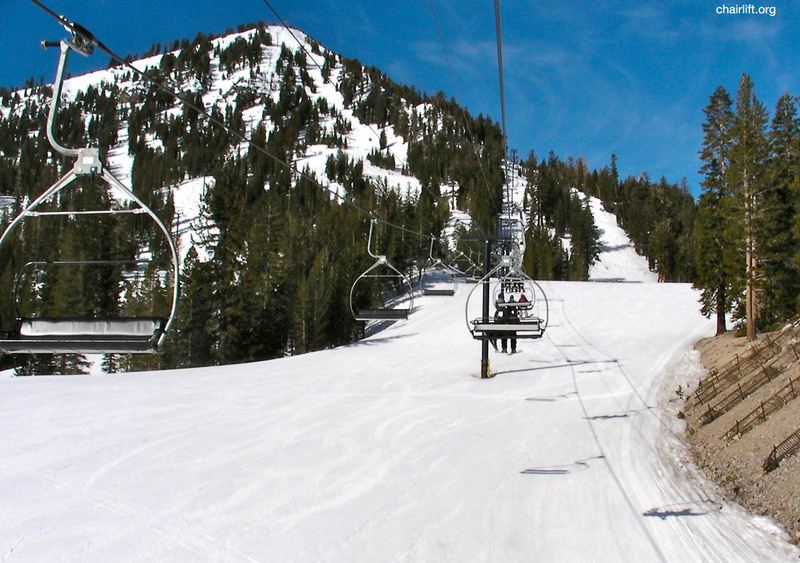 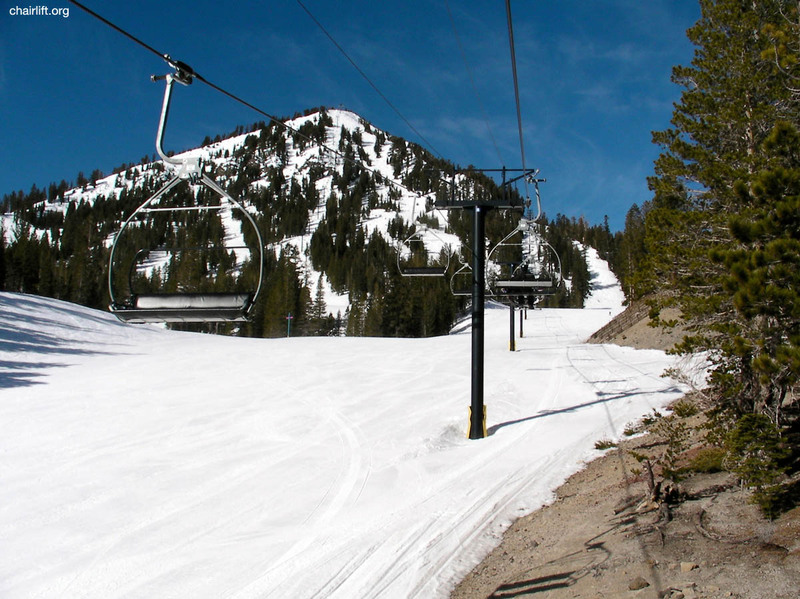 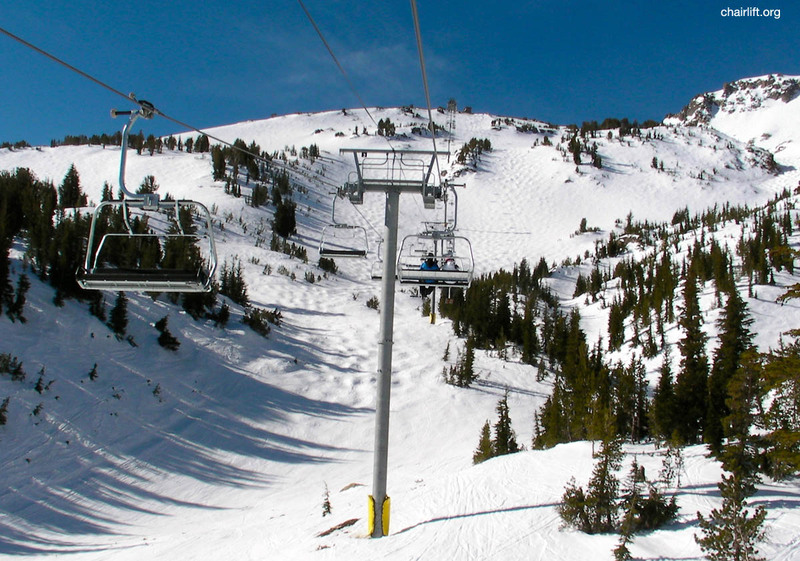 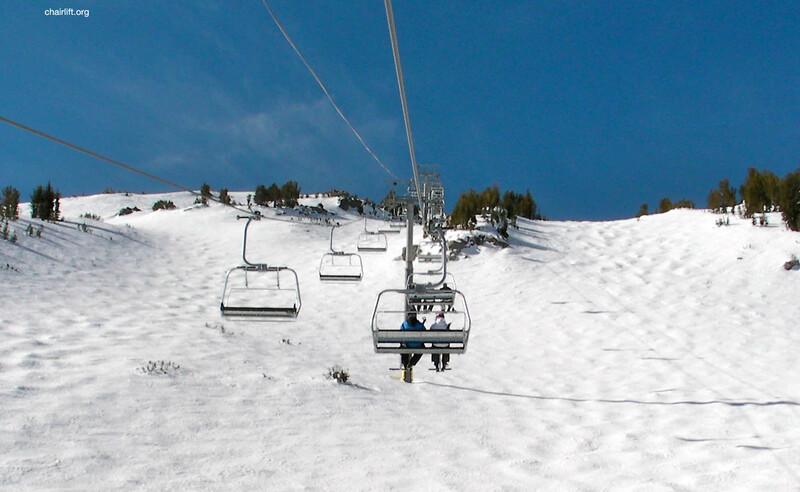 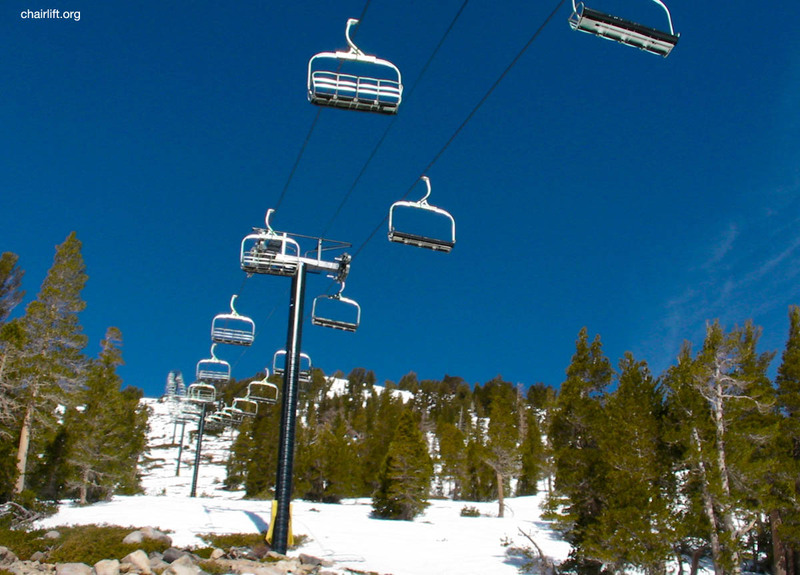 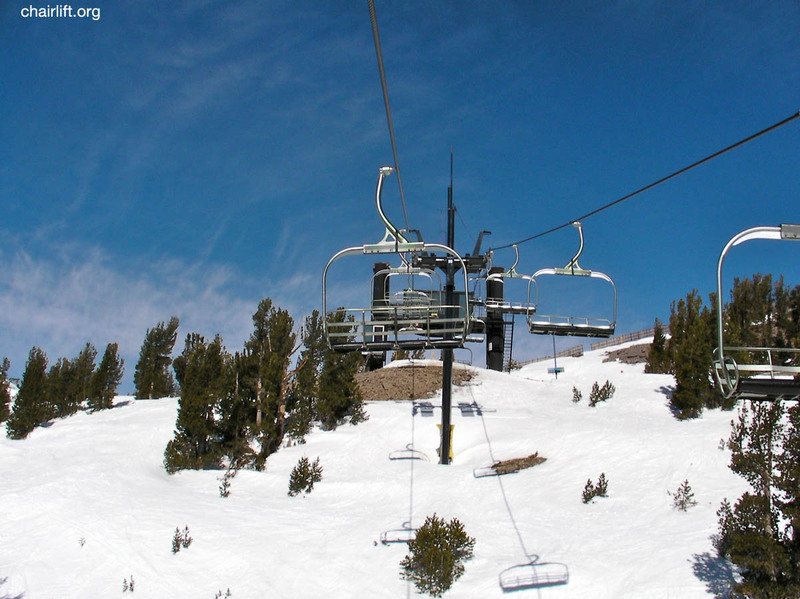 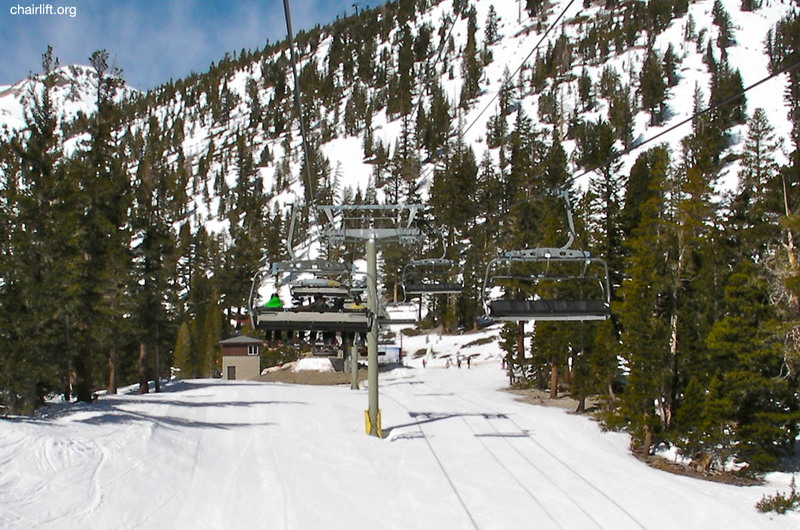 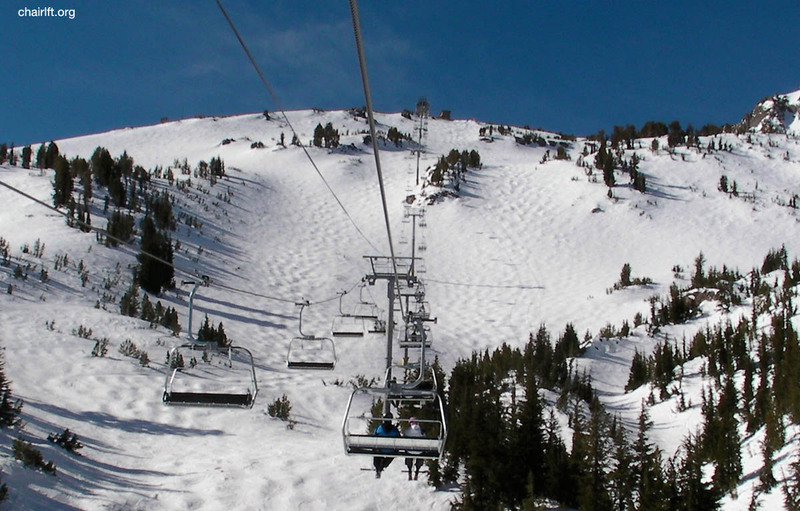 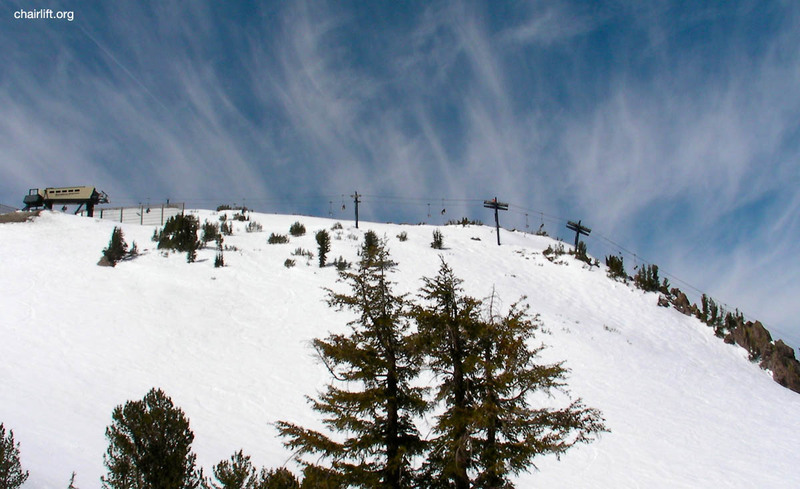 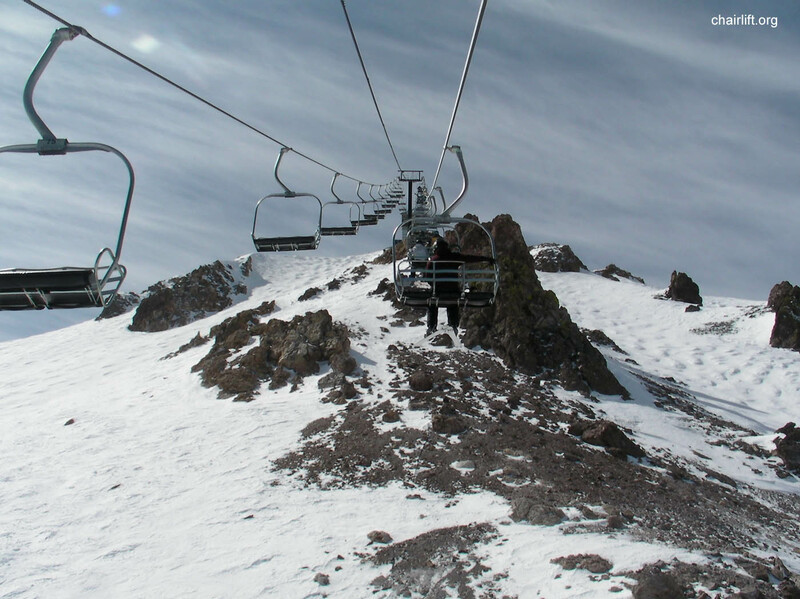 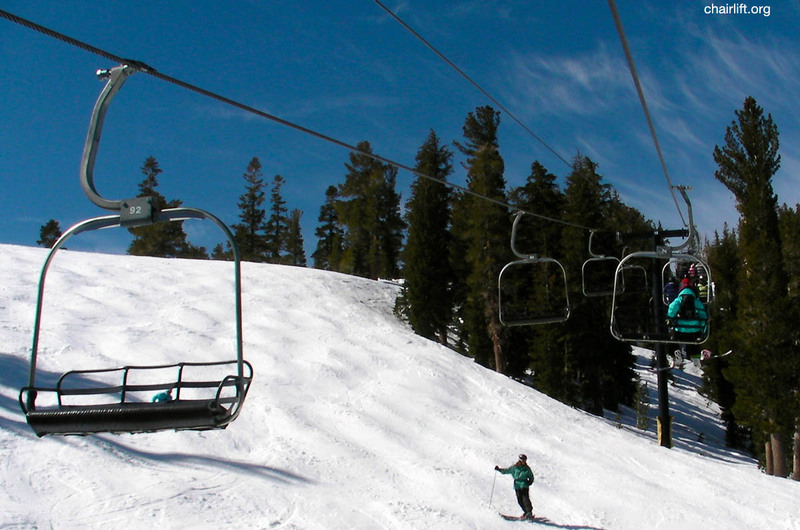 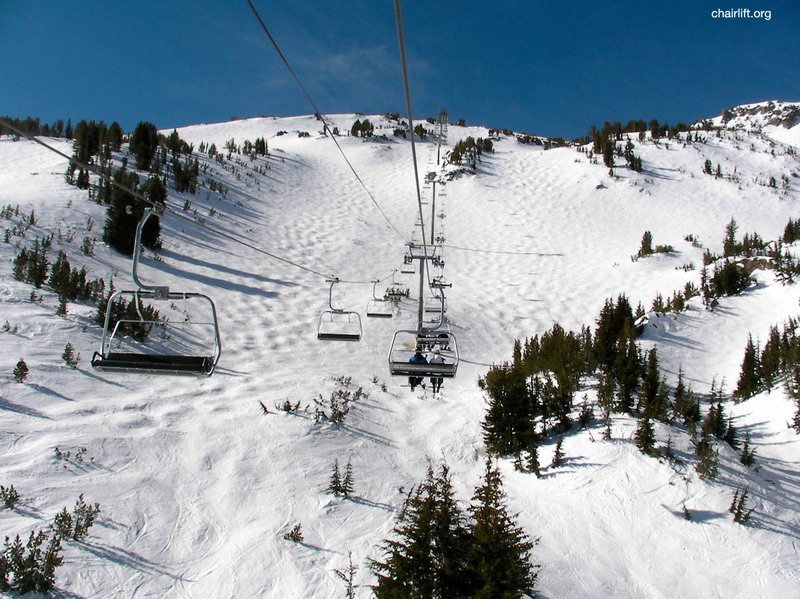 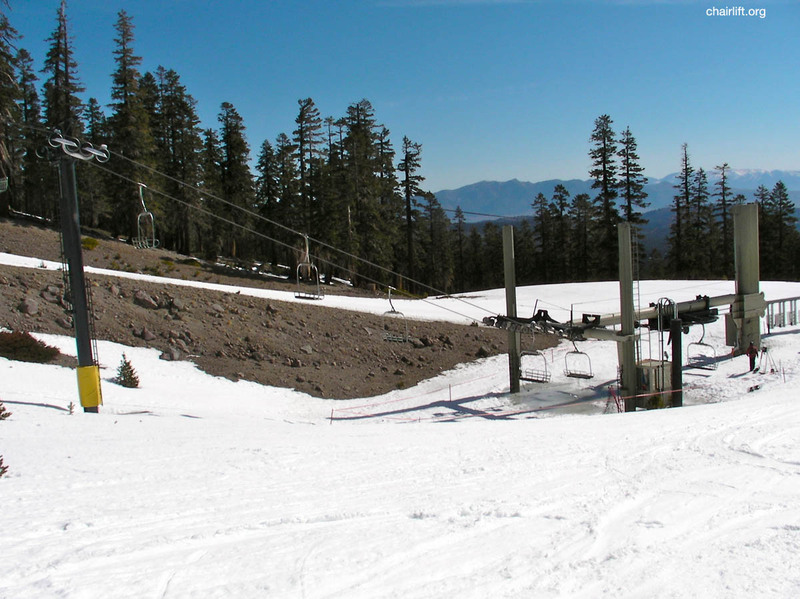 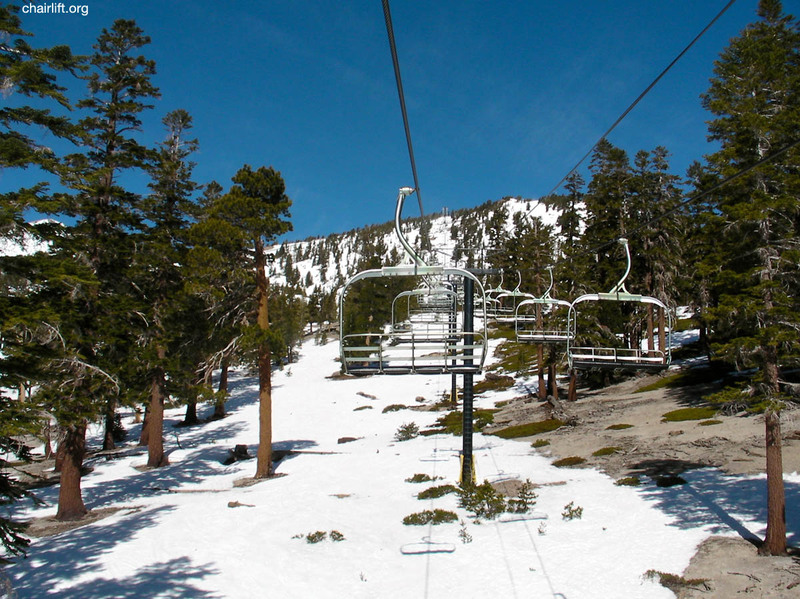 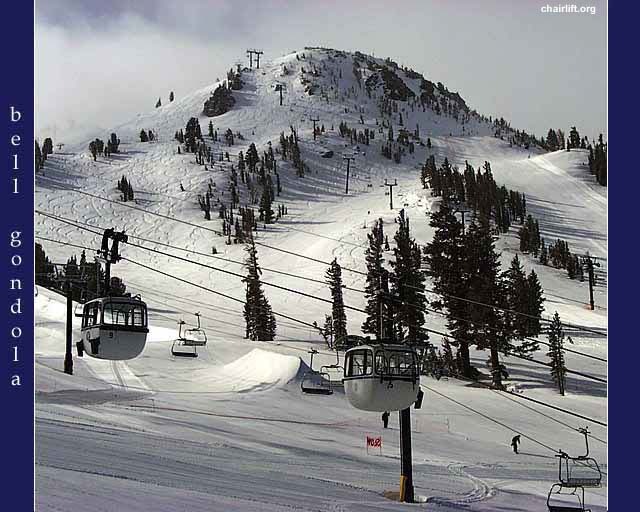 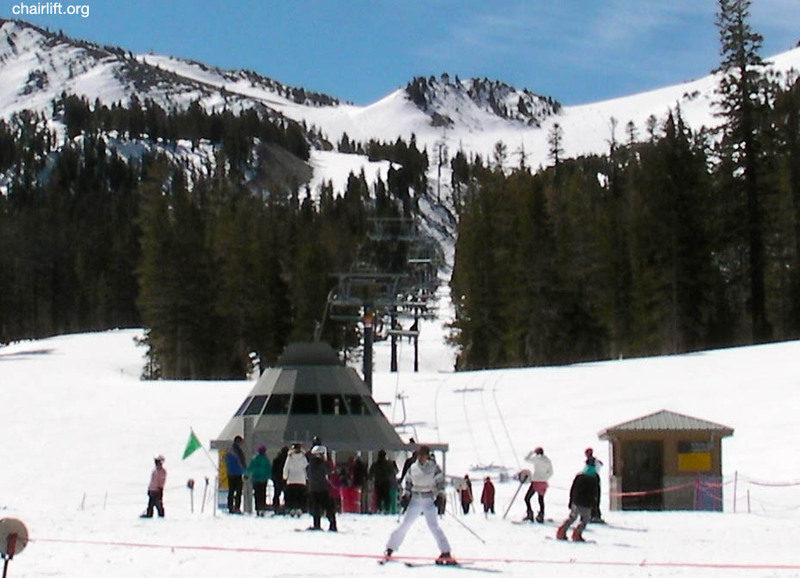 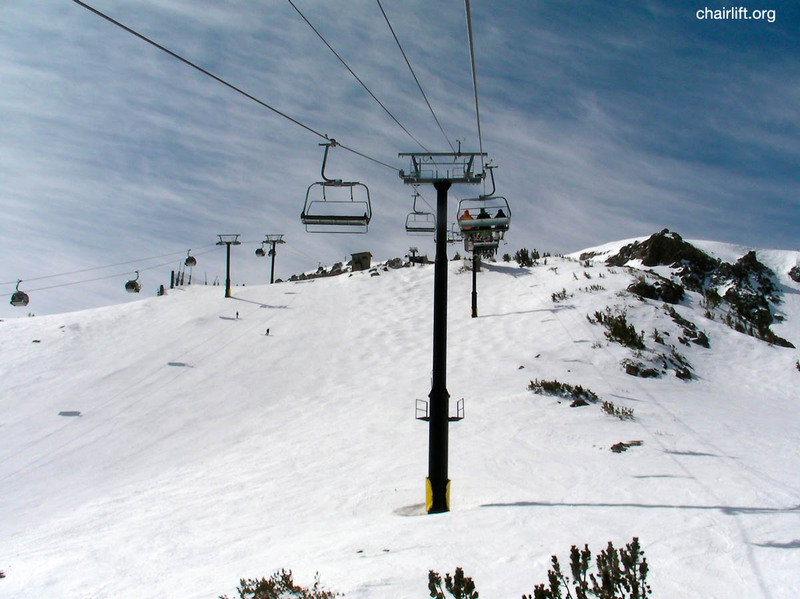 CHAIR 3 (RIBLET) - The original Face Lift ran from 1959 until it was replaced in 1997 with a Doppelmayr Express Quad. 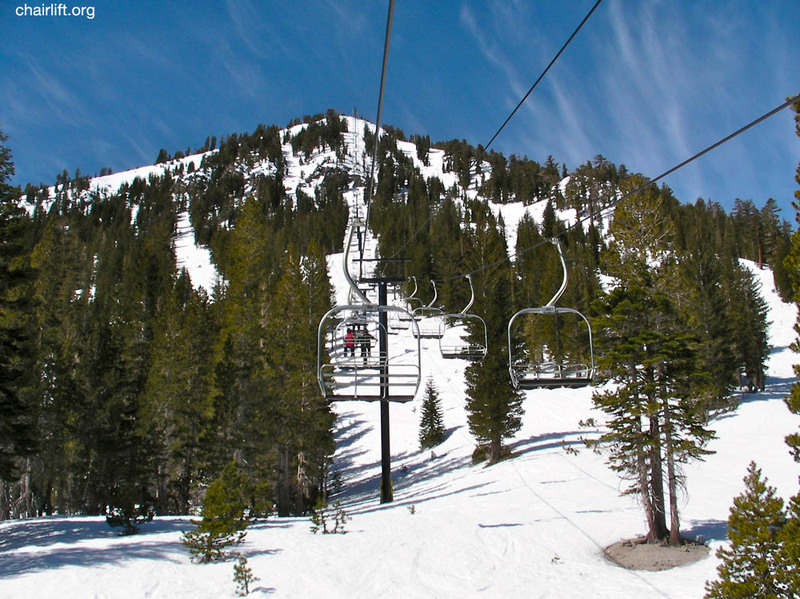 CHAIR FOUR (RIBLET) - This double chair ran from 1962 until 1997 until replaced with the Roller Coaster Express. 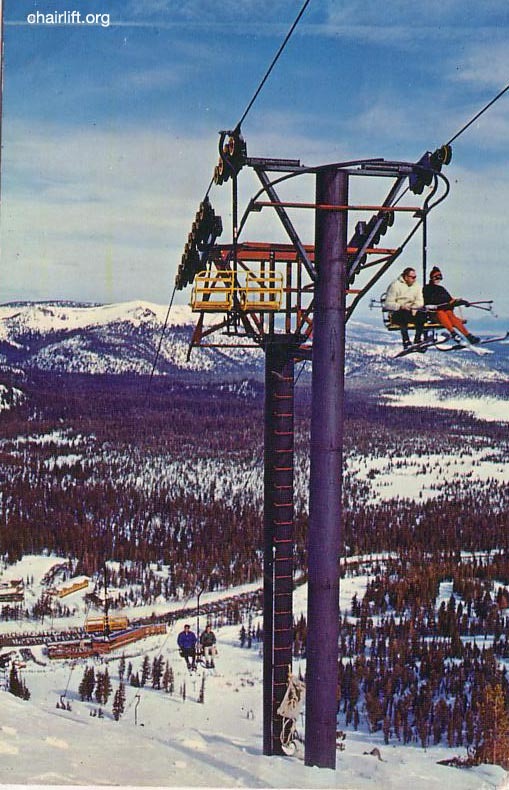 CHAIR FIVE (Riblet) - The original riblet chair ran from 1965 until replaced by a yan triple in 1997. 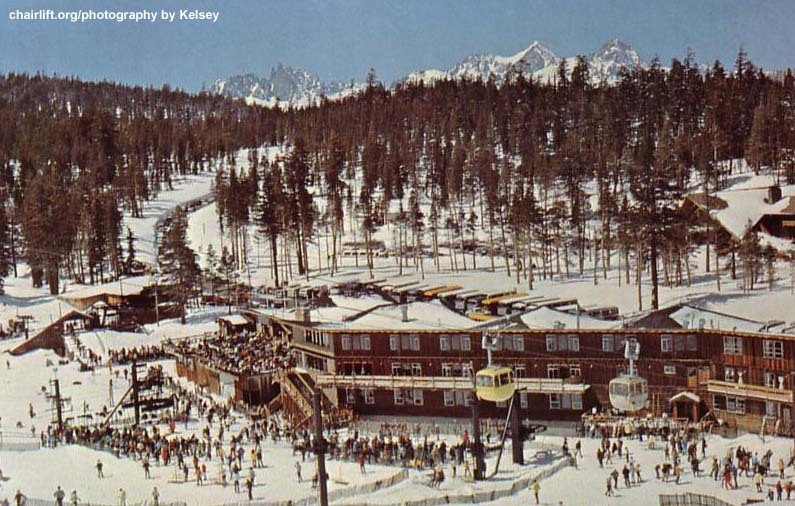 CHAIR NINE (YAN) - Built in 1969 this famous double was replaced in 2007 with the Cloud Nine Express. 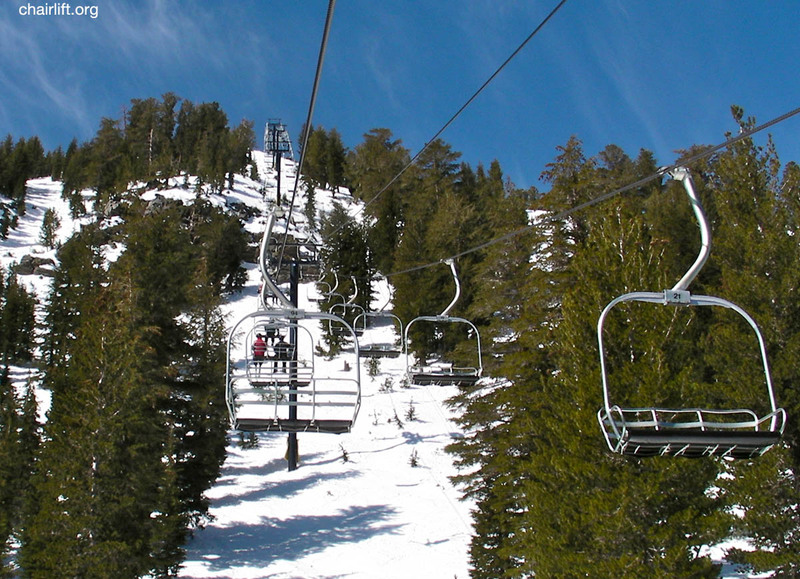 CHAIR FIFTEEN (YAN) - This 1974 double chair was replaced in 2000 with the Eagle Express.